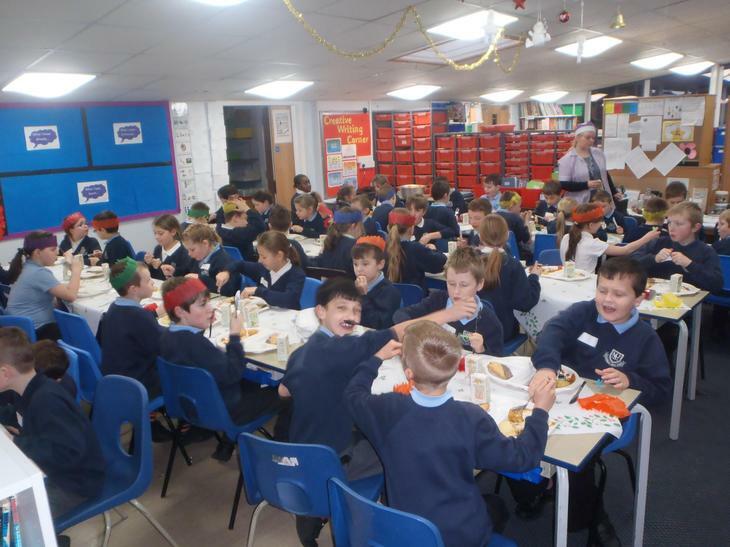 Well, here we are, three weeks back, and once again... Time flies when you're having fun! 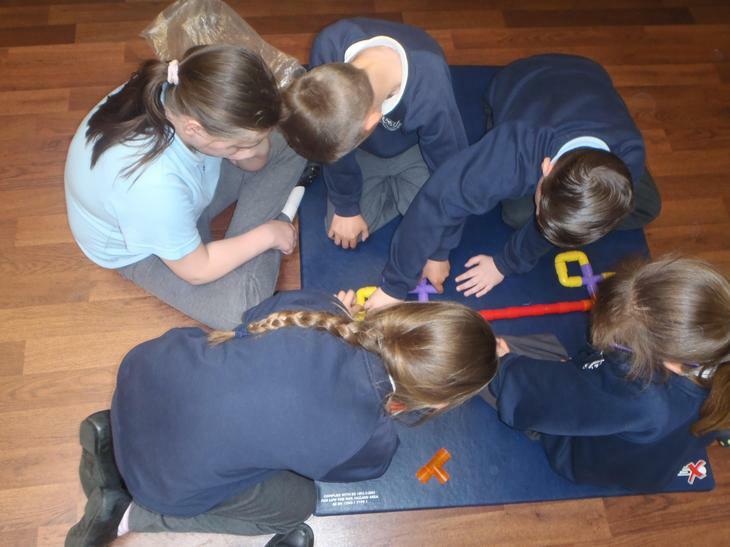 Science week was great and the children had a super time at MOSI and completing all the follow up science work covered during the week. 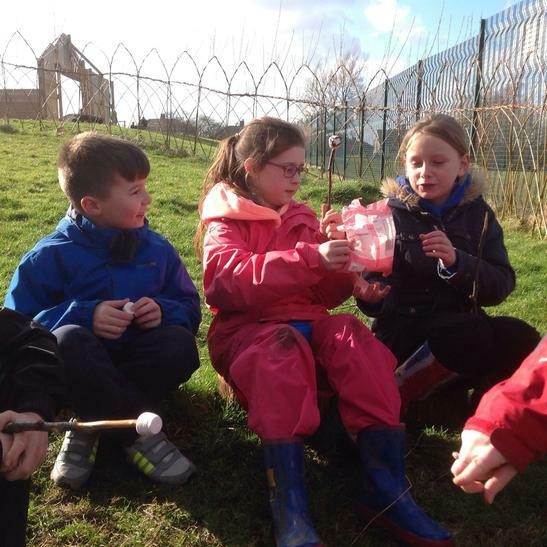 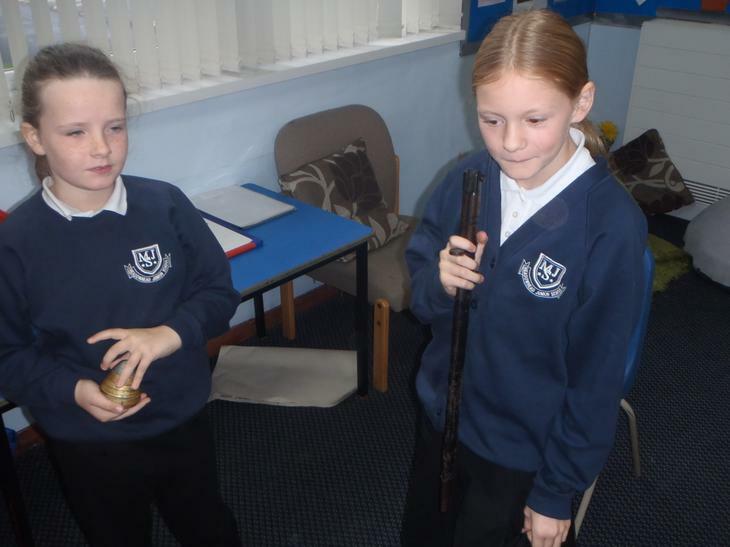 Time rolls along and Year 5 have lots to look forward to. 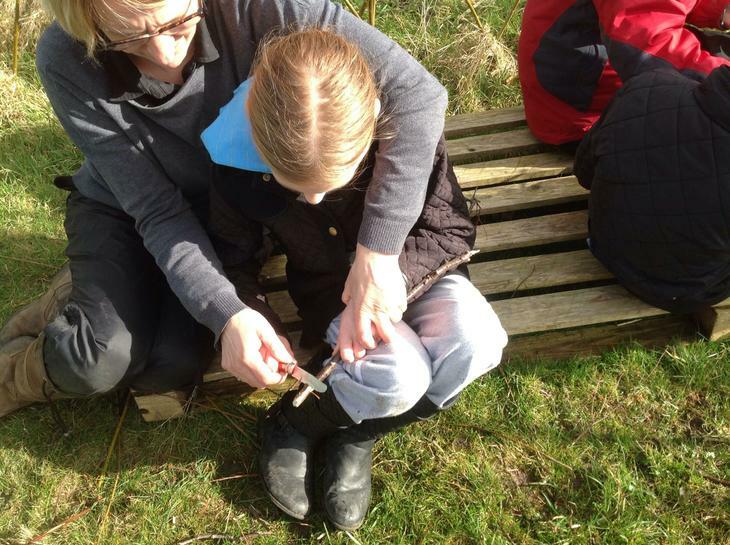 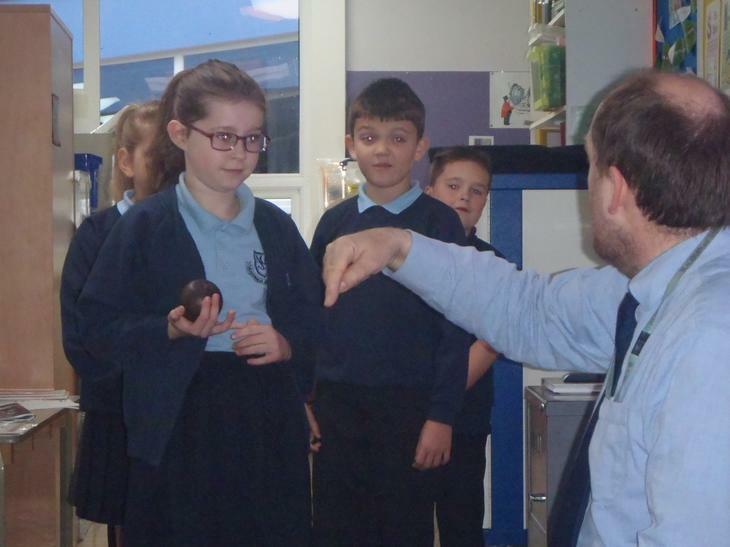 We hope to visit Witton Park on Tuesday morning for our June science visit. 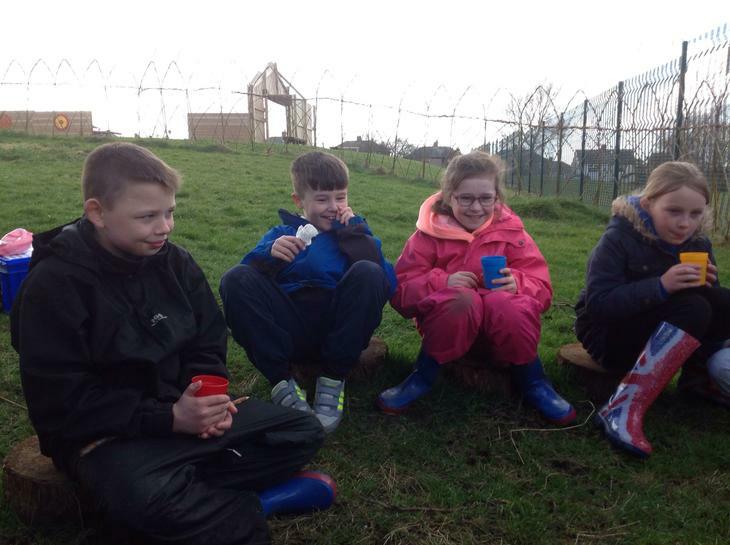 The park certainly has changed over the last 9 months and we have seen it all! 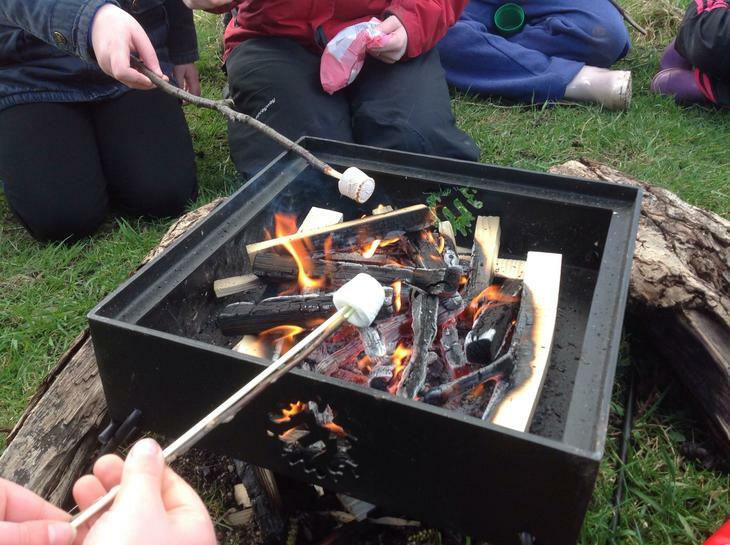 Hopefully the weather will behave itself for Tuesday morning - I don't know who coined the phrase "flaming June" but they didn't live around here is all I can say! 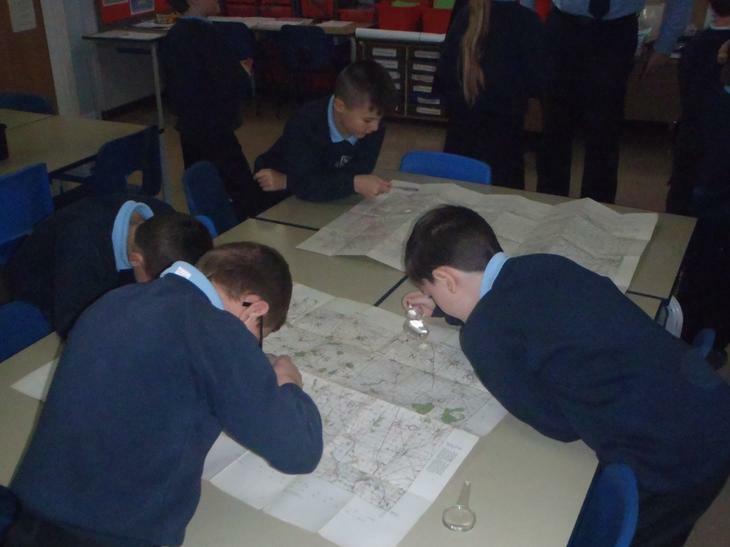 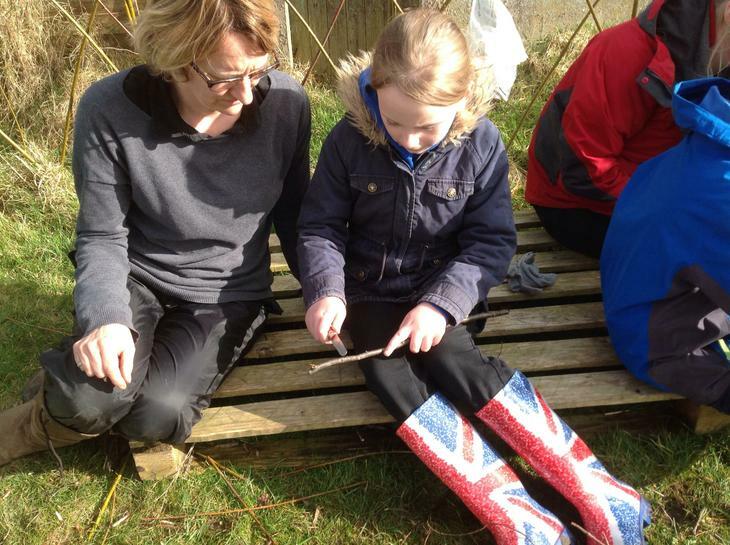 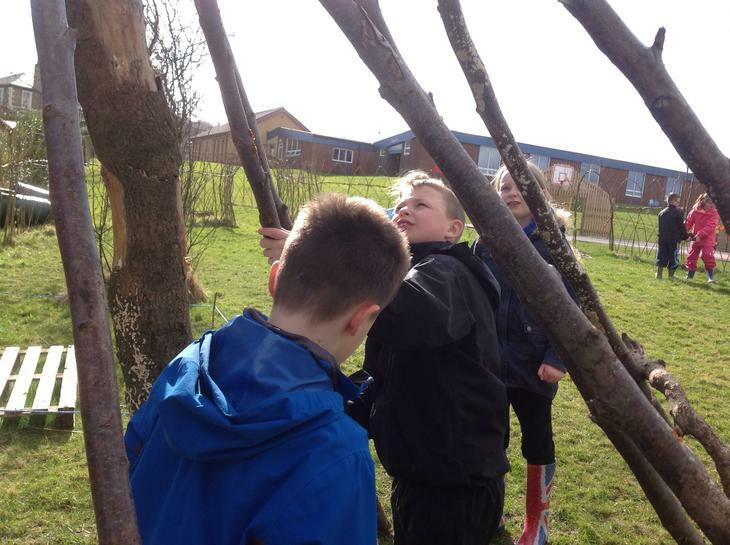 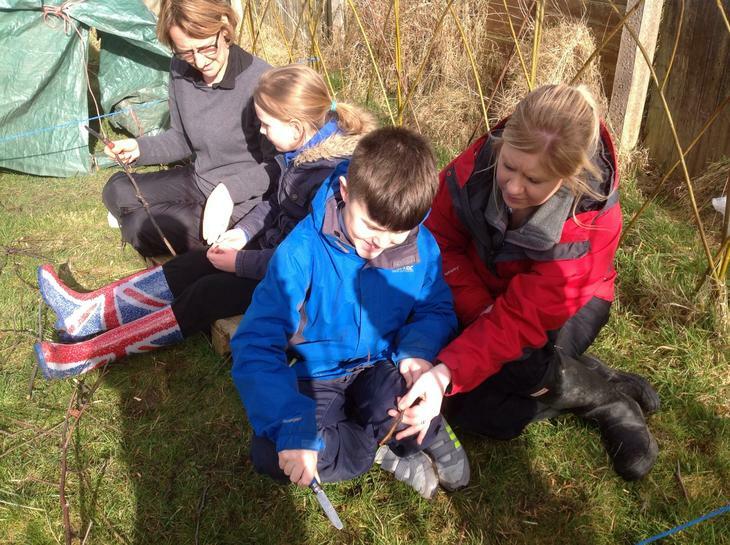 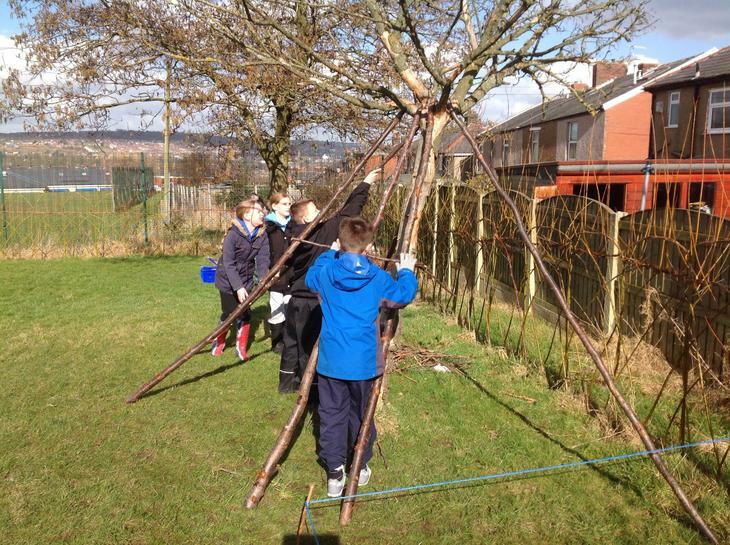 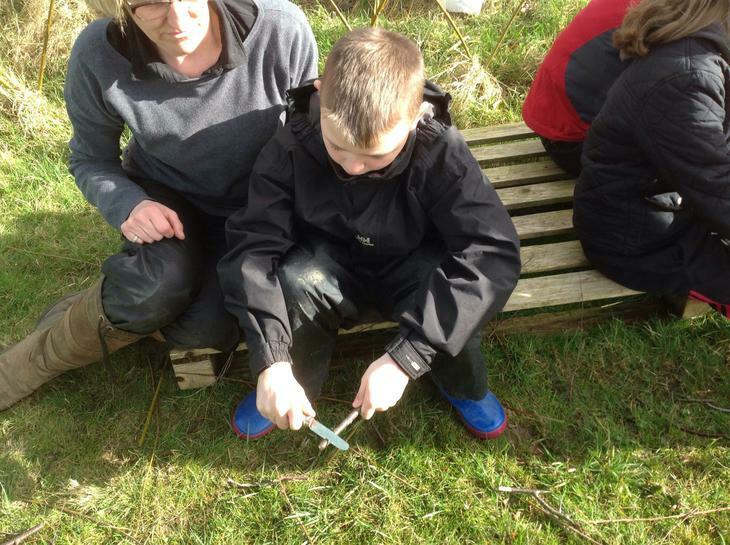 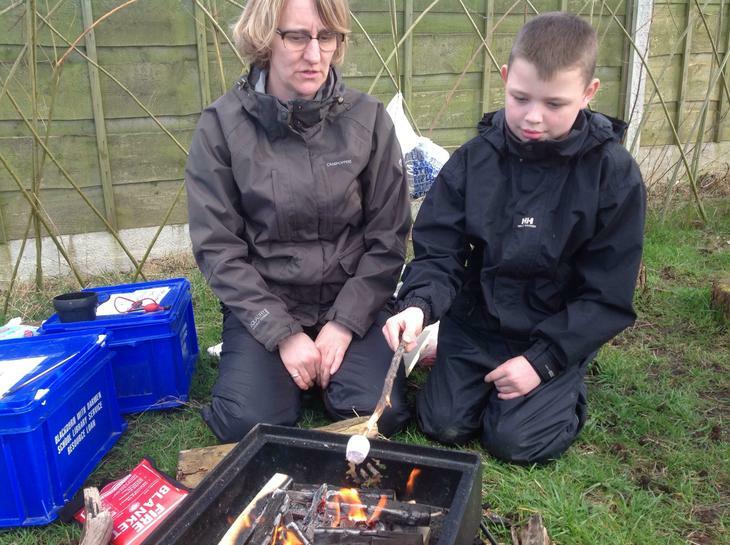 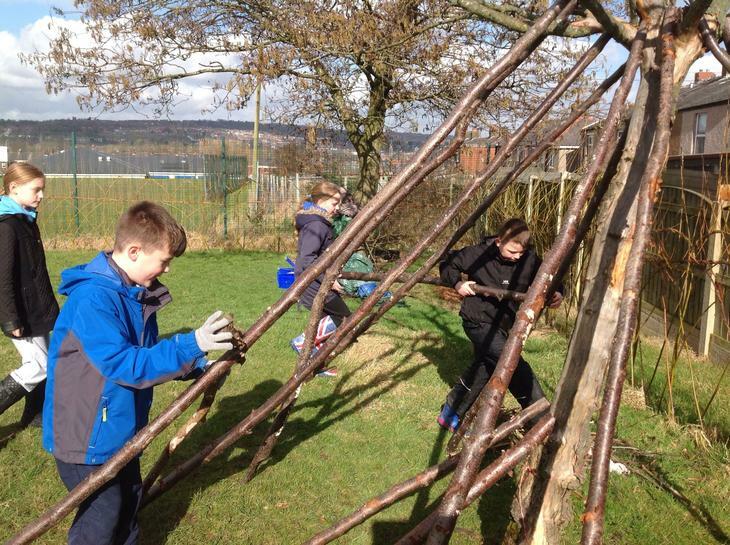 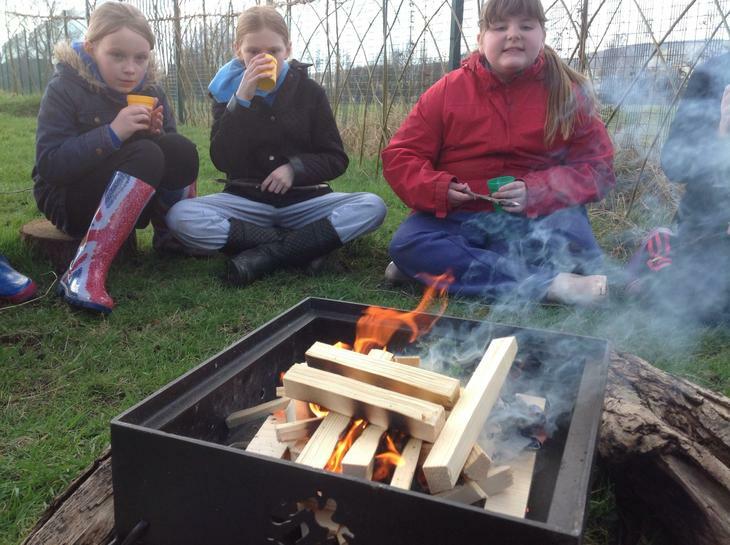 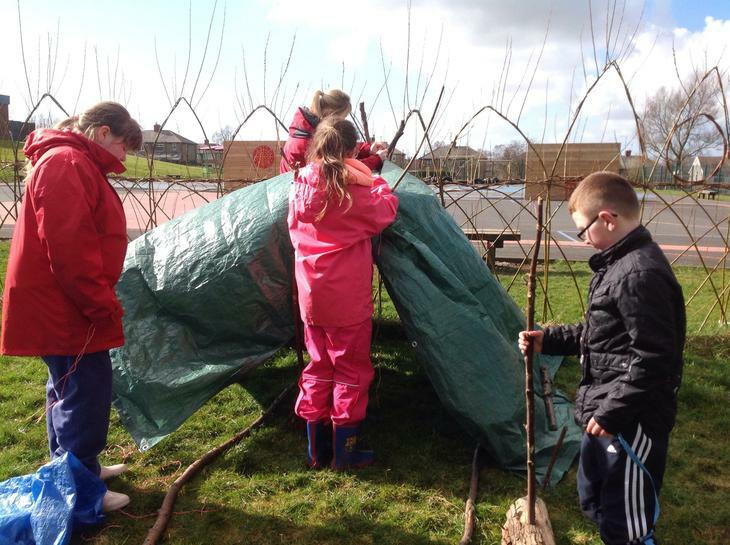 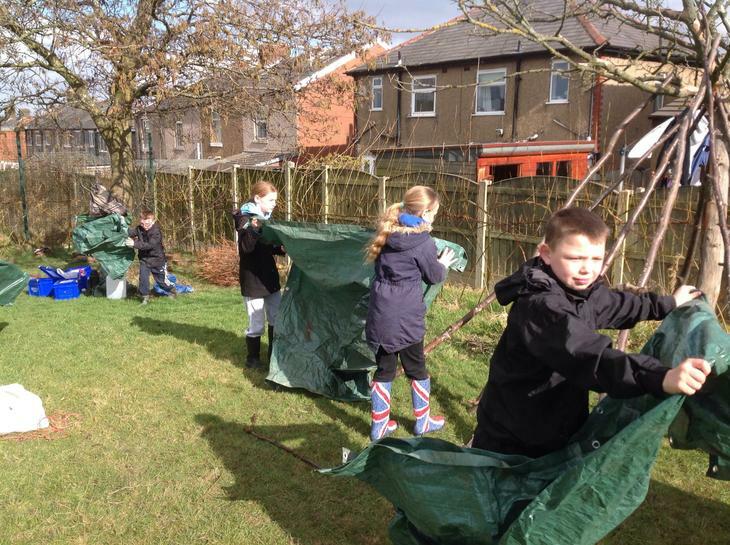 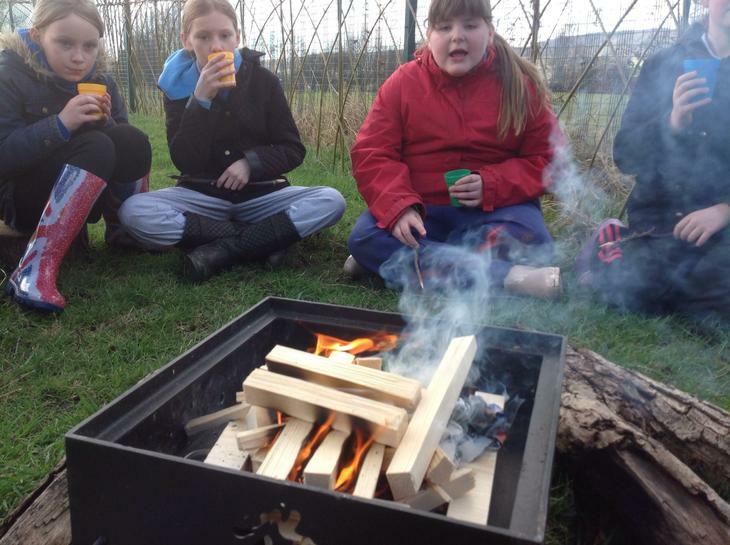 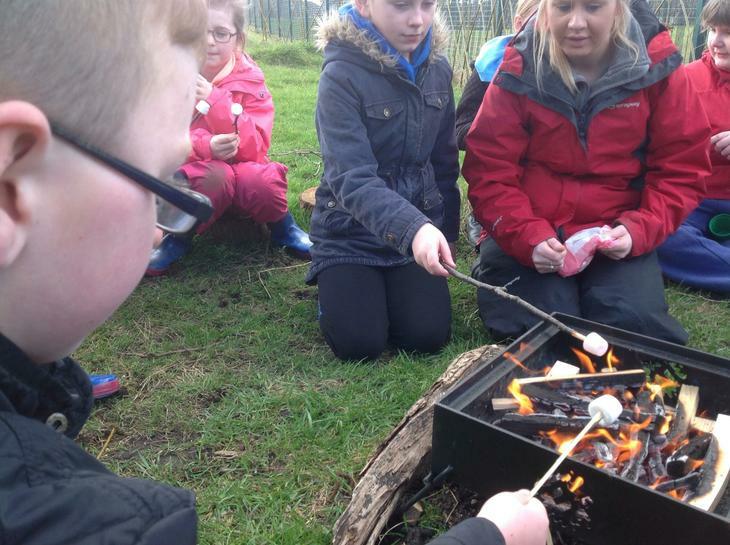 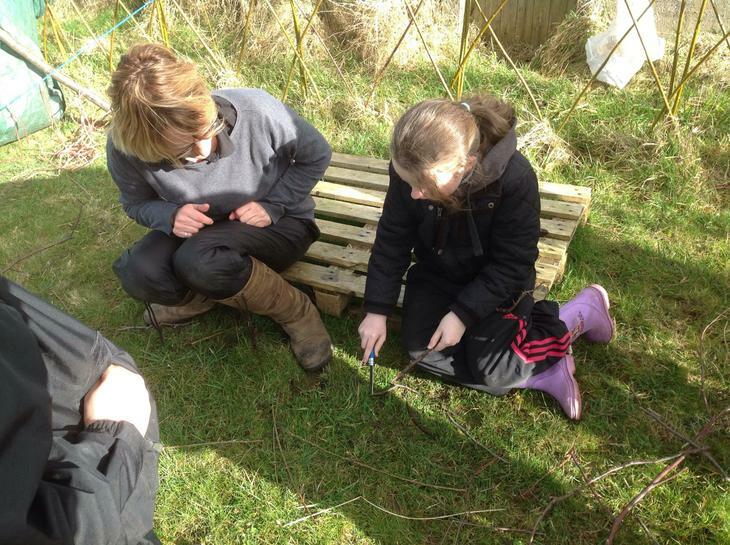 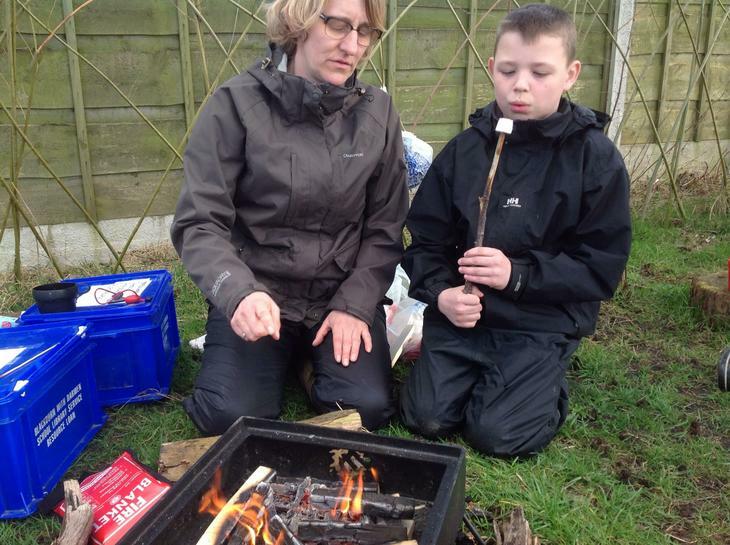 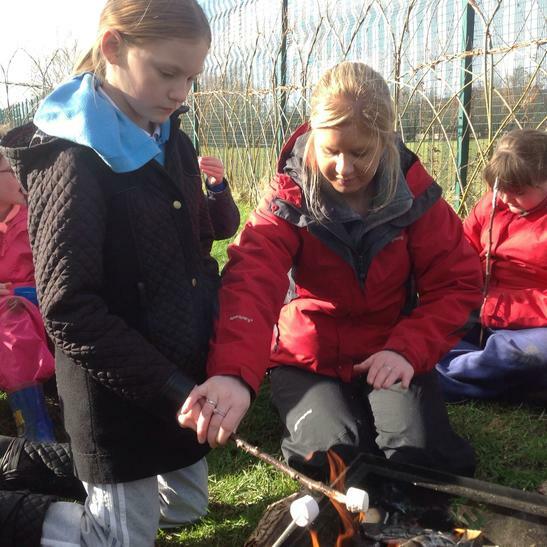 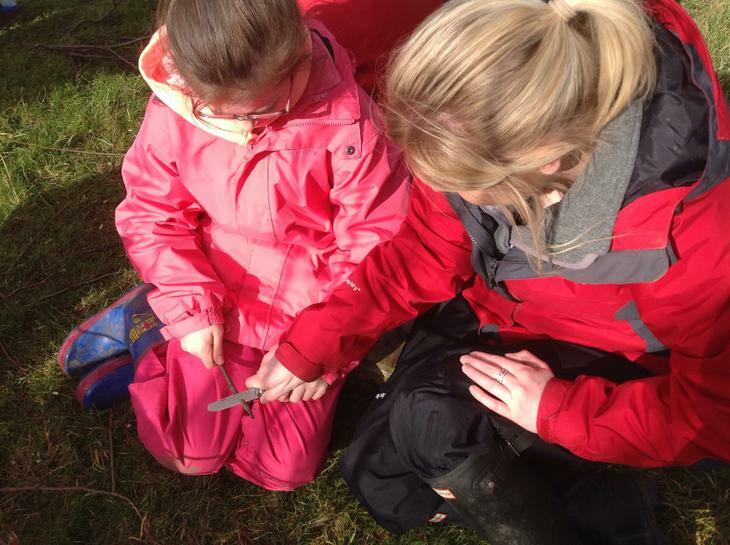 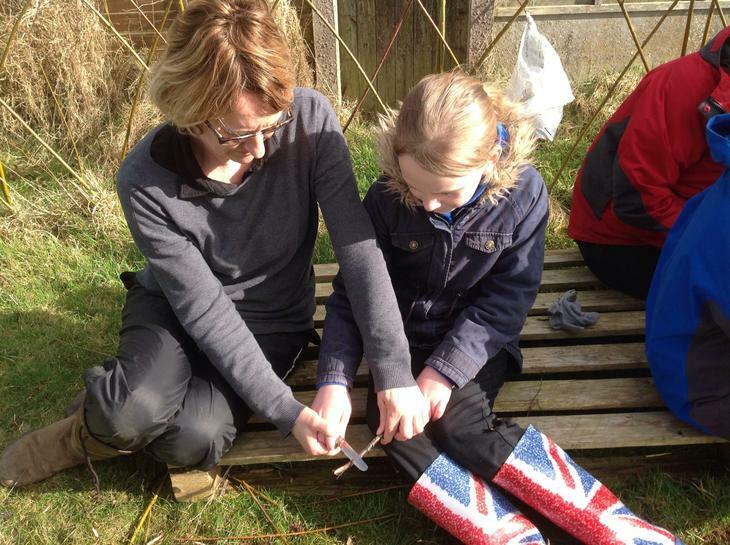 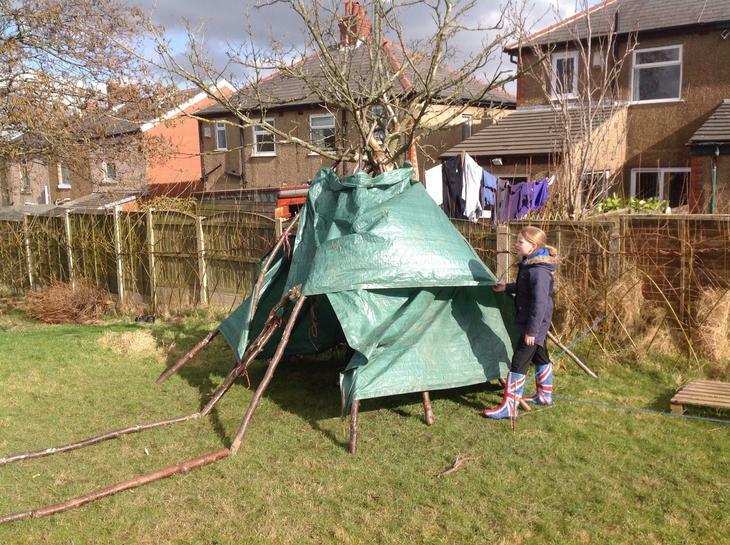 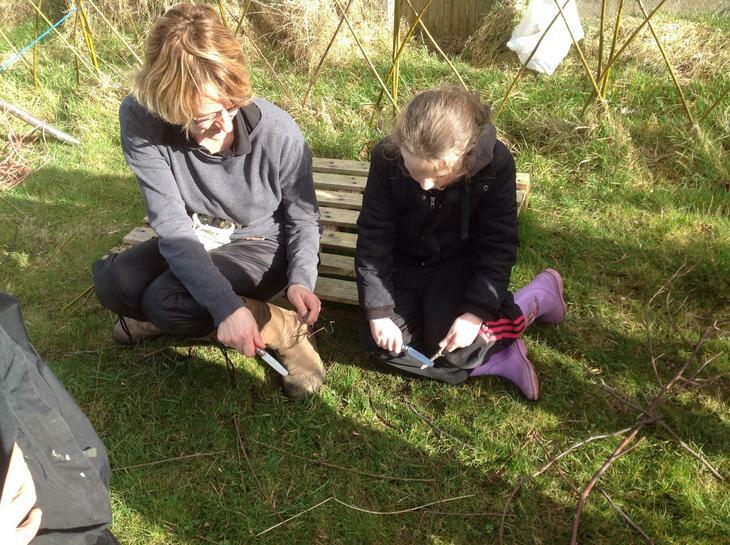 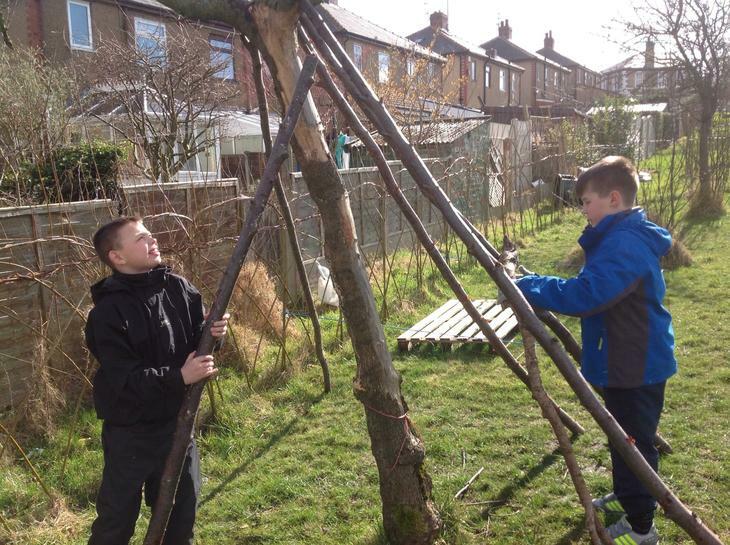 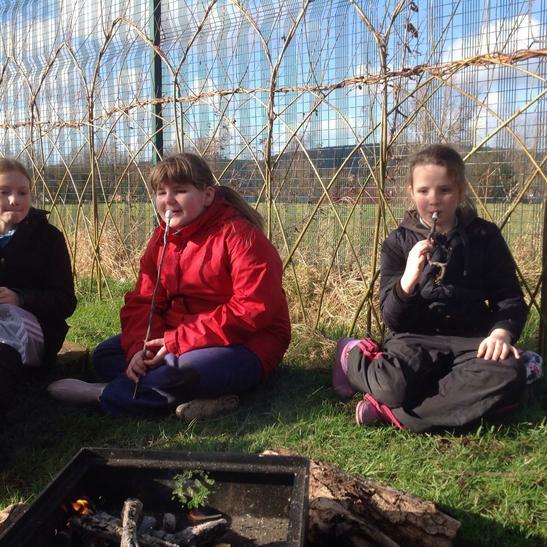 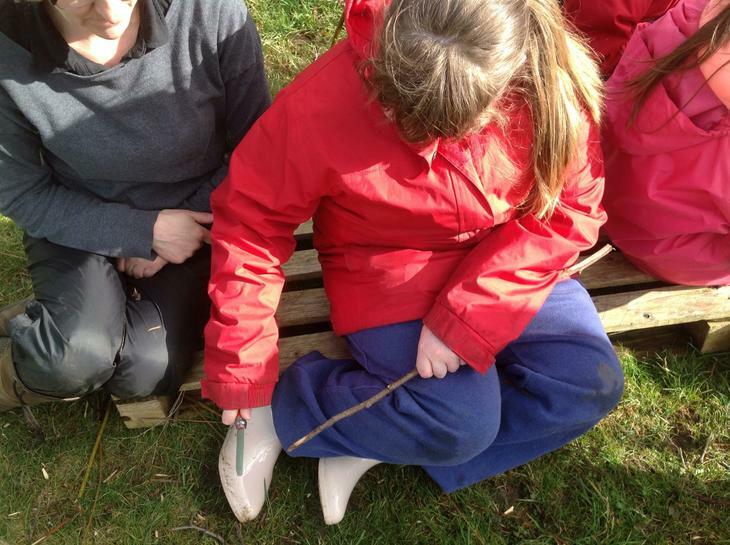 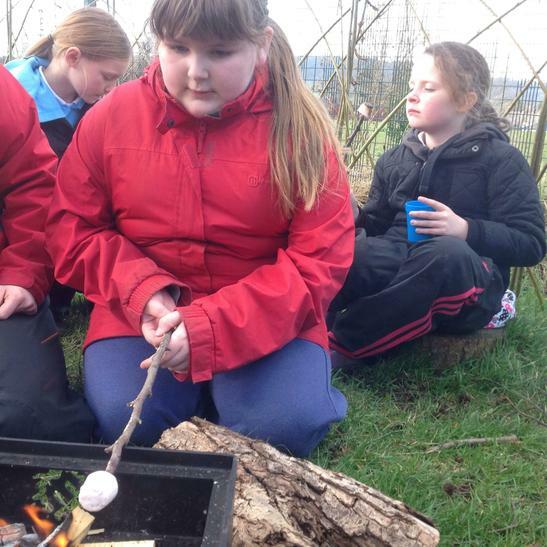 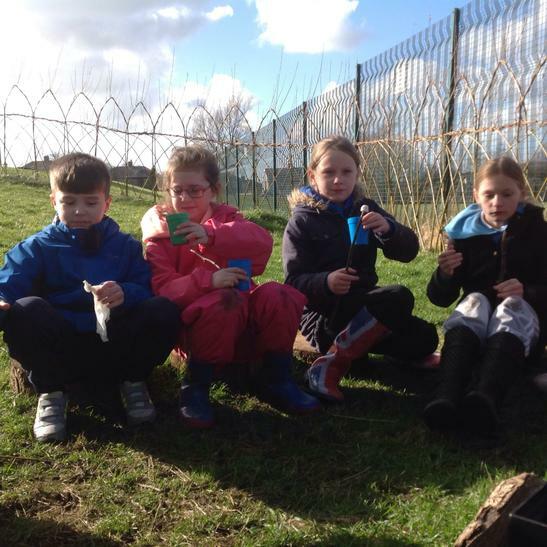 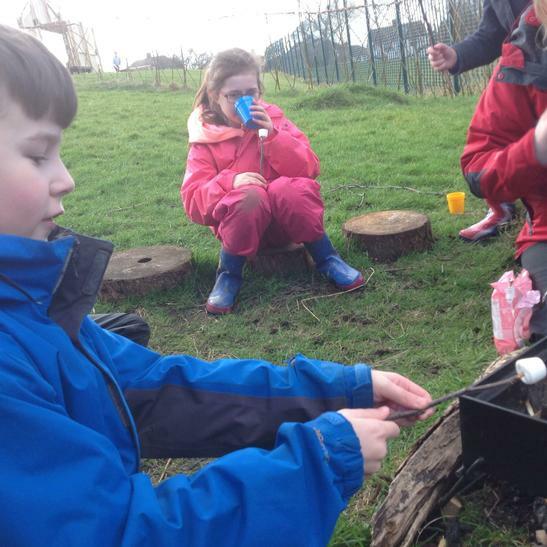 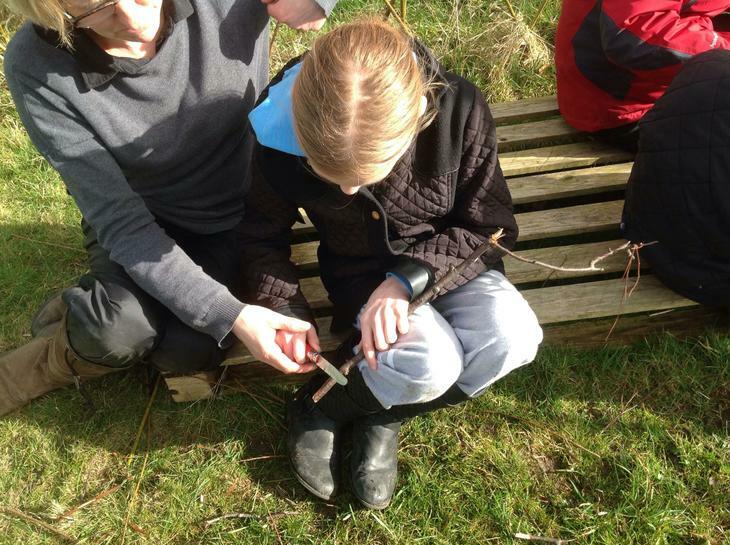 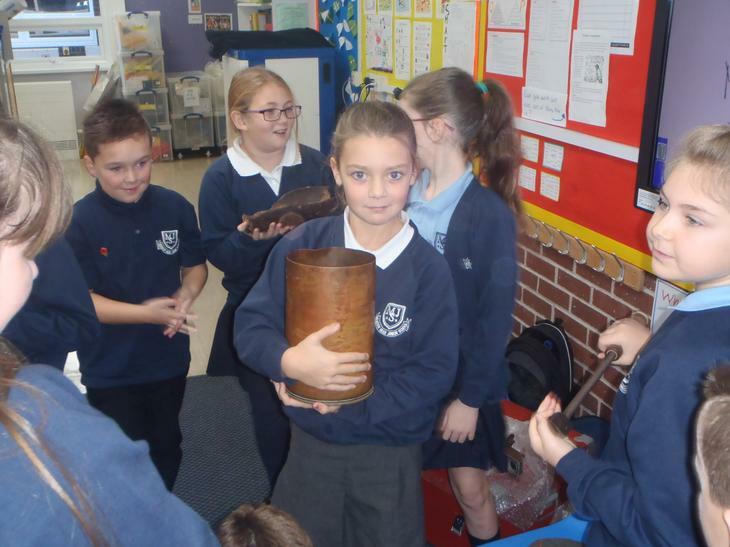 On Friday Walton le Dale High School have invited Year 5 to take part in their Living in Lancashire Day. 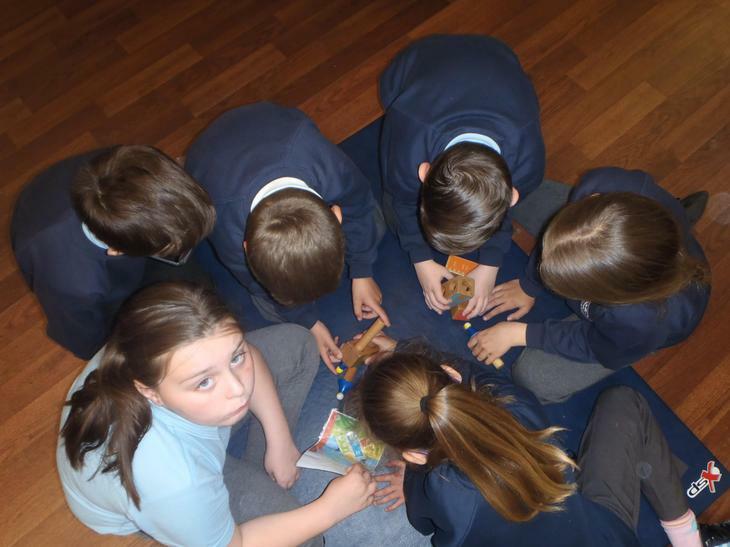 Based on past invitations the day should be fab! 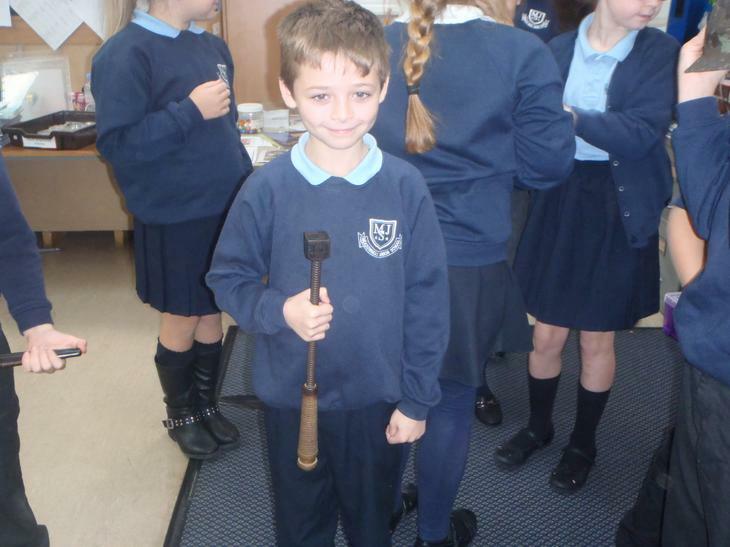 I for one am really looking forward to it. 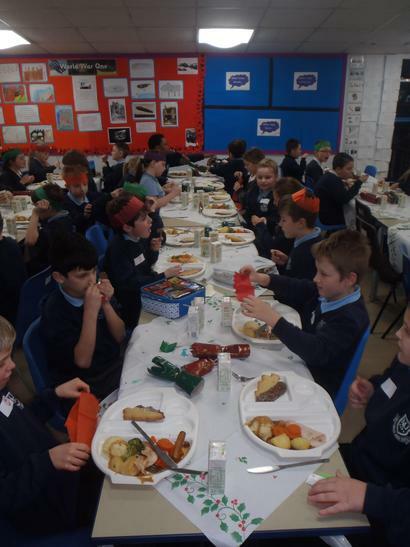 Don't forget, no lunches needed on this day as the school are feeding us! 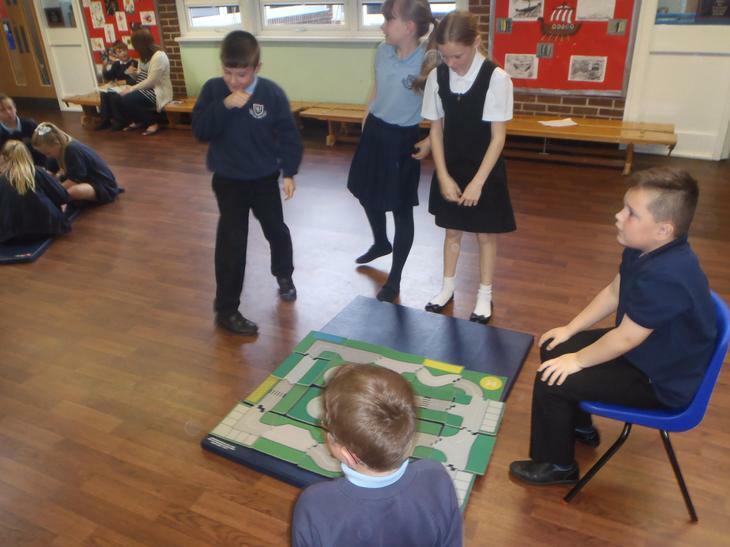 Sports Day has been pencilled in for 9th July - again we hope the weather will behave. 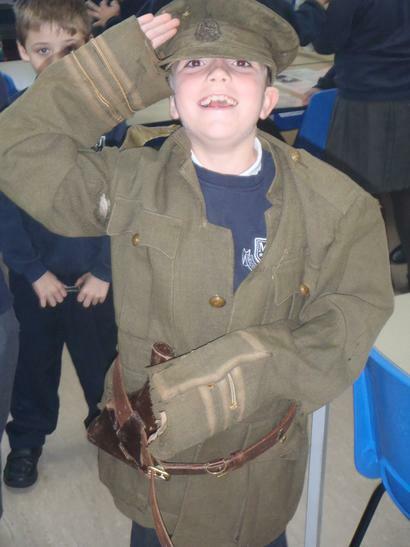 Well, on we go... Before we know it, the summer hols will be here!!! 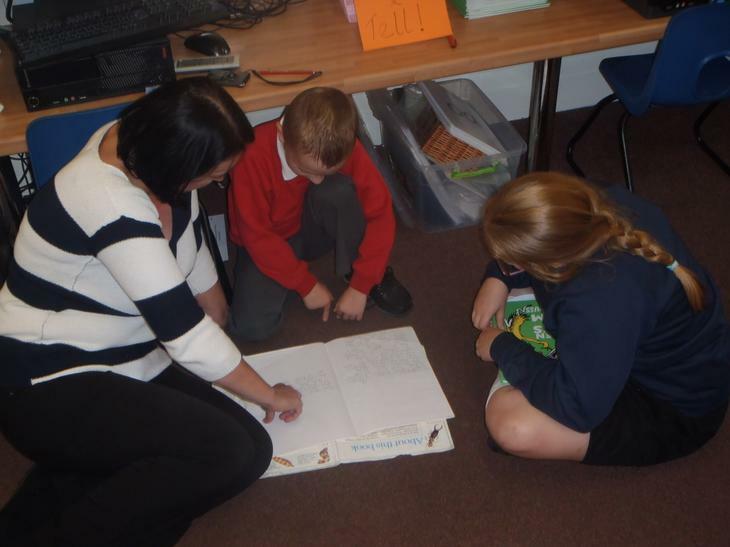 In 5H the children receive homework on a regular basis and most children complete and hand in homework on time. 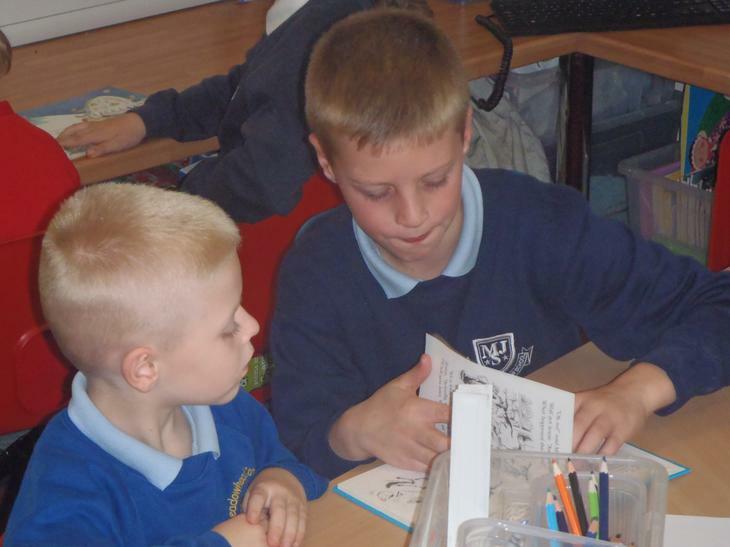 The homework is given out on Monday and needs to be completed at home and returned by Friday. 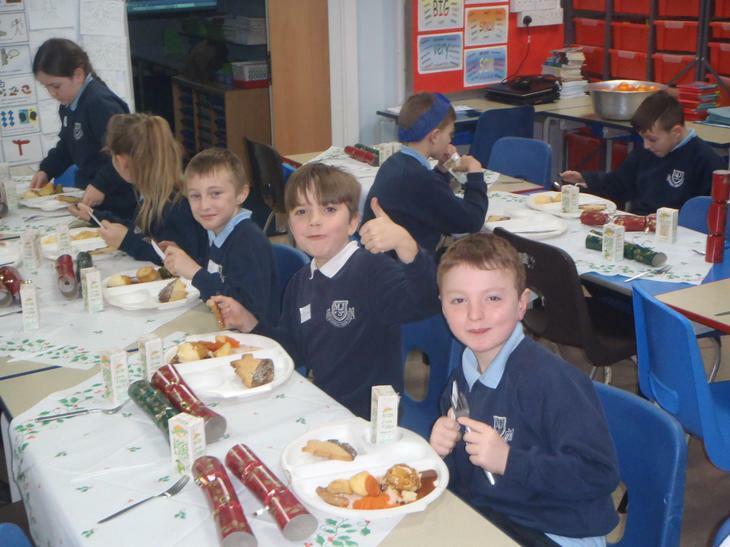 Your support in this would be greatly appreciated. 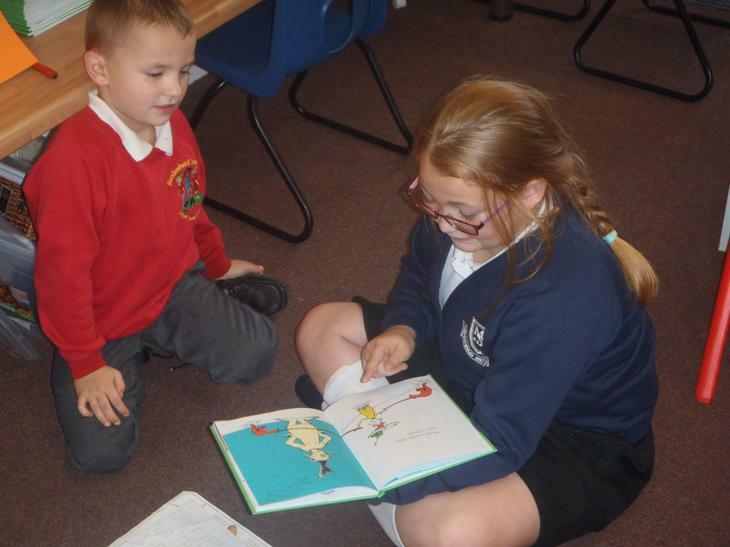 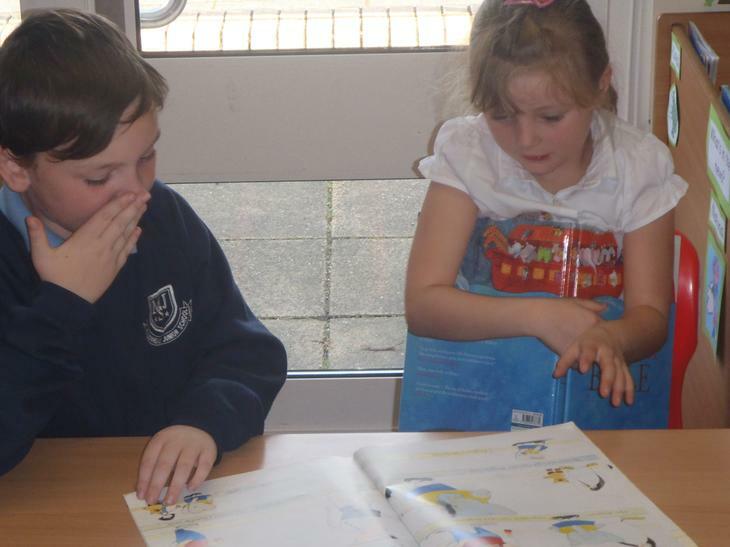 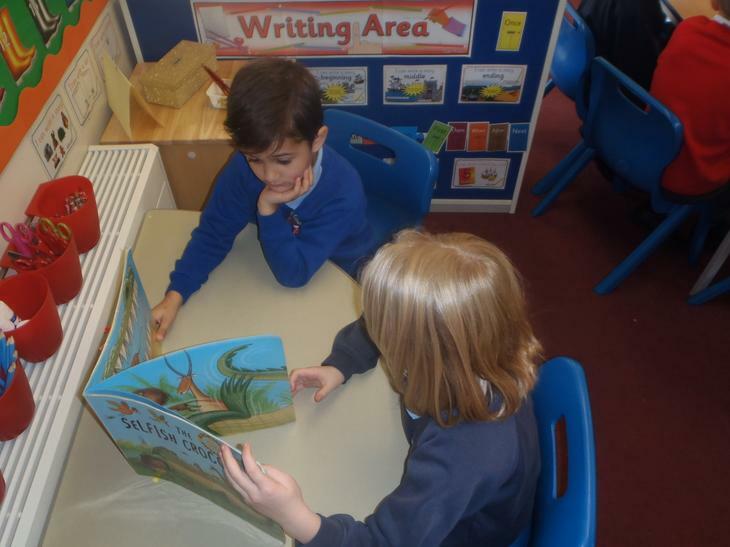 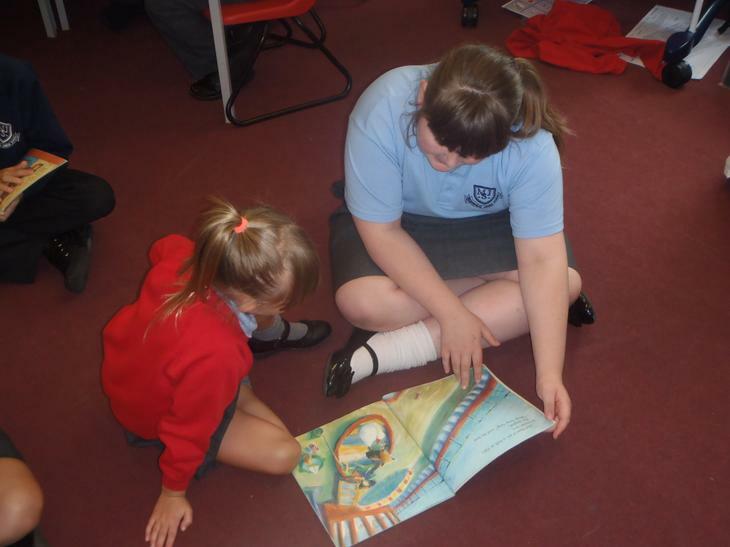 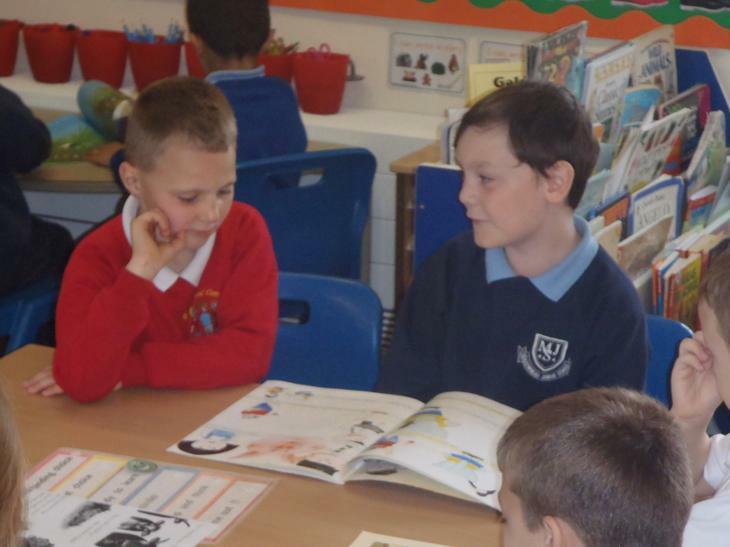 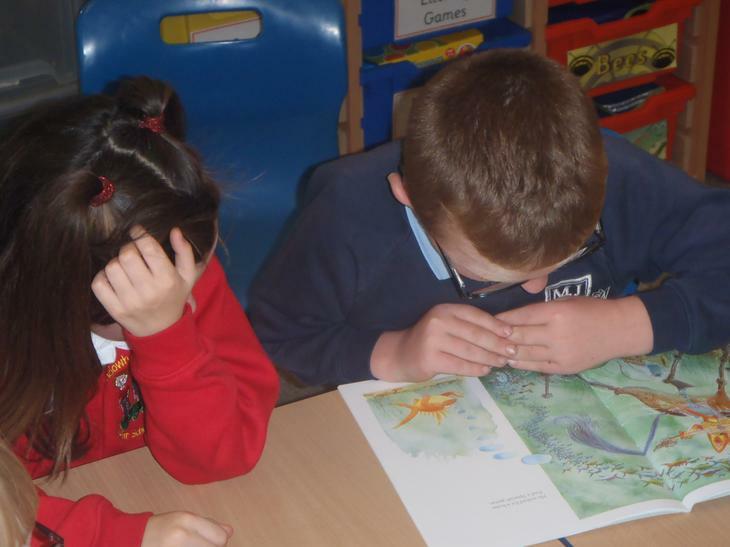 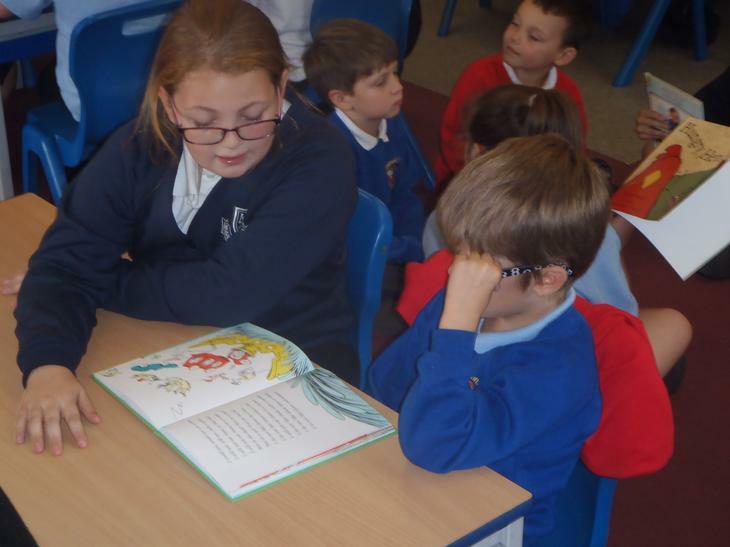 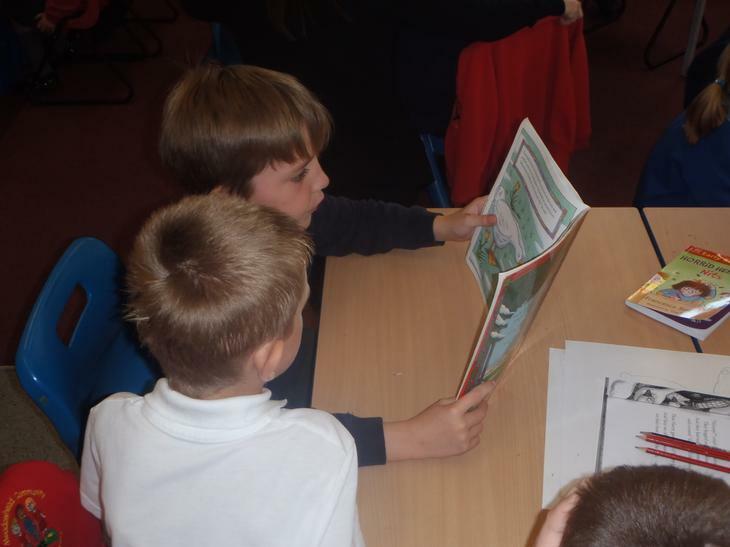 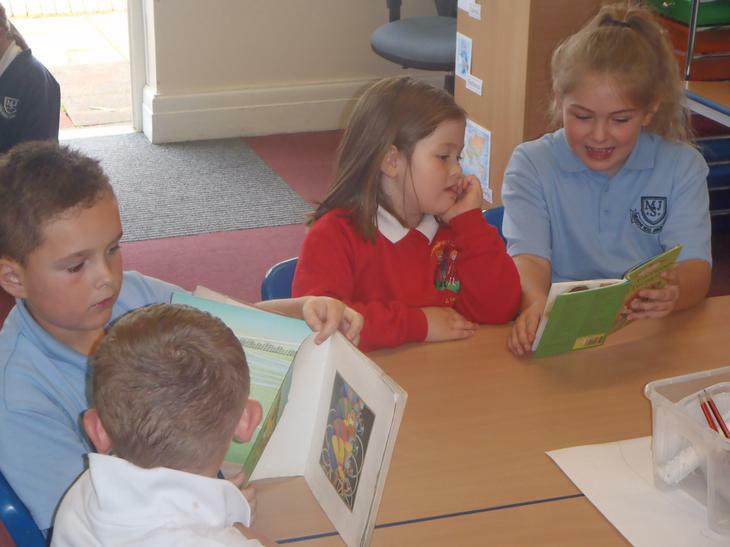 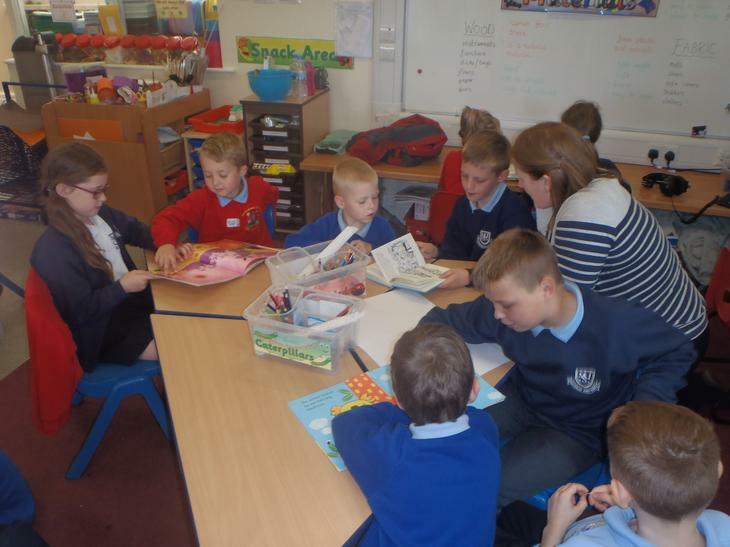 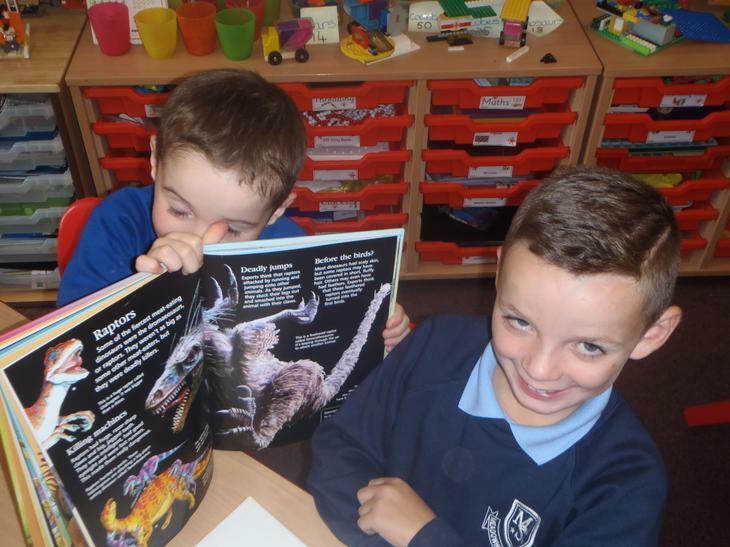 At Meadowhead Junior School we place great emphasis on reading. 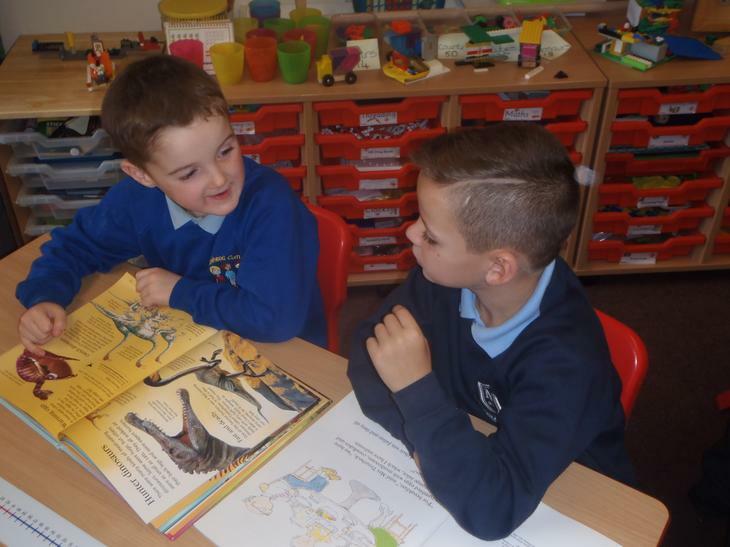 Your child has a Home School Reading Record which contains information on the spellings to be learned for the week, and any homework which needs to be completed. 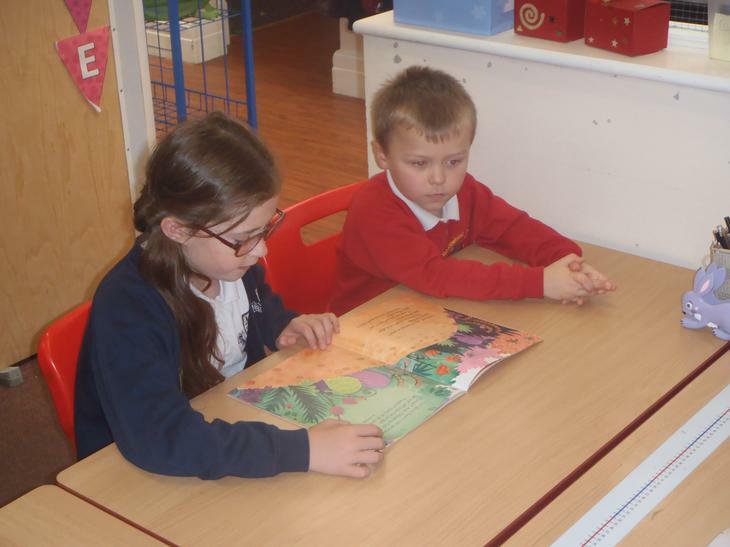 There is an opportunity for parents to write any messages in the book for me. 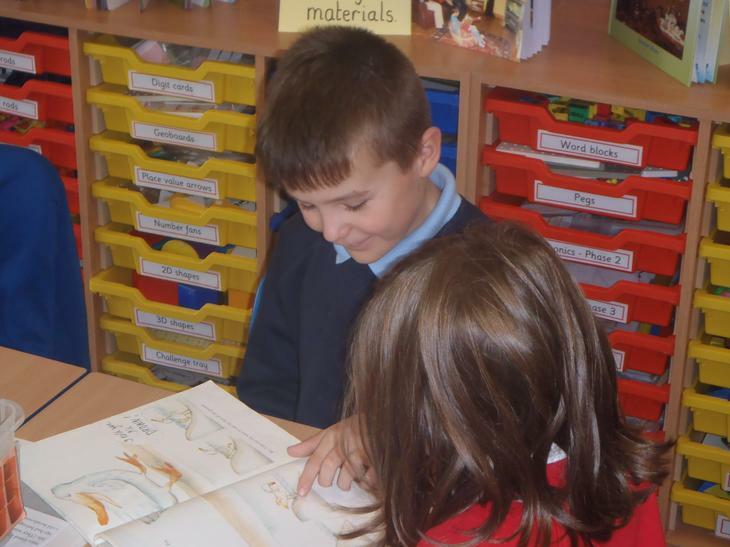 I am enjoying this academic year, it is going extremely well. 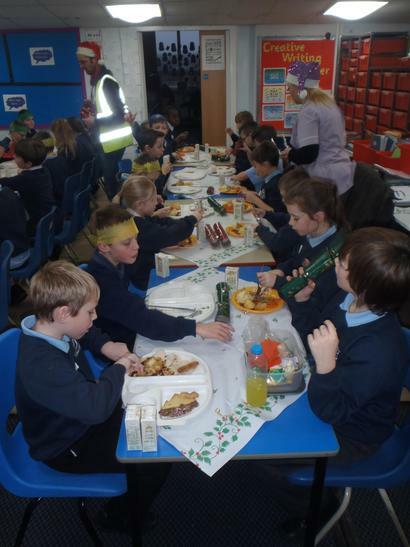 Long may it continue! 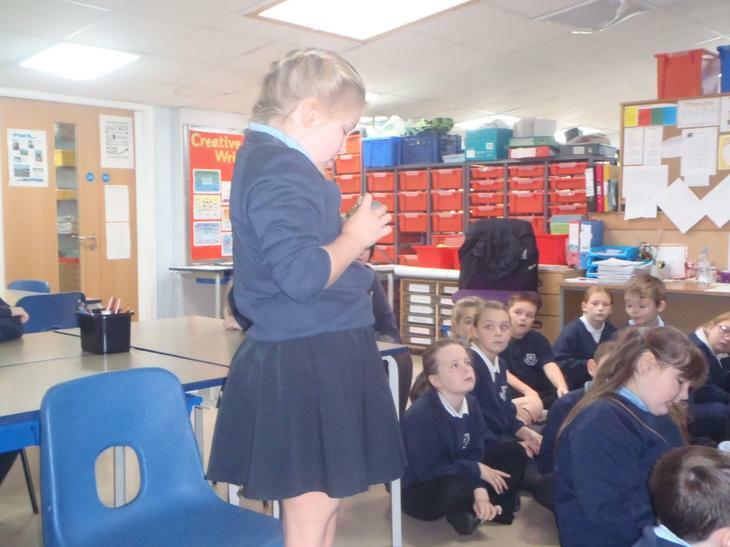 Watch this space for more news from 5H. 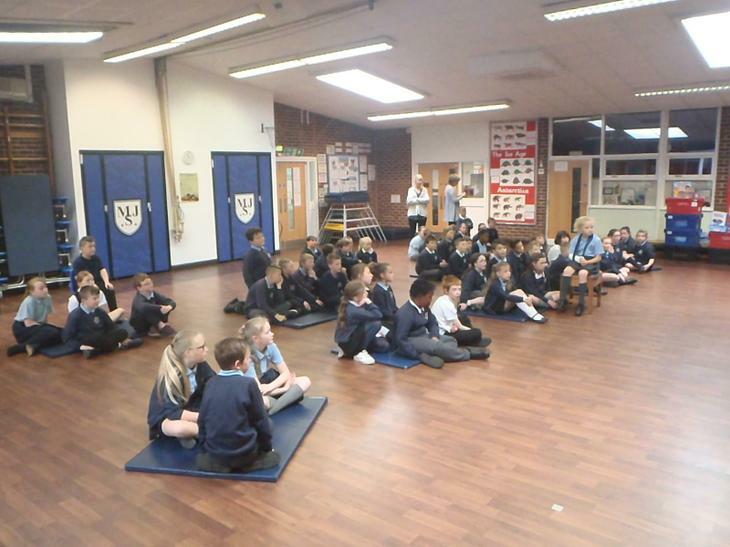 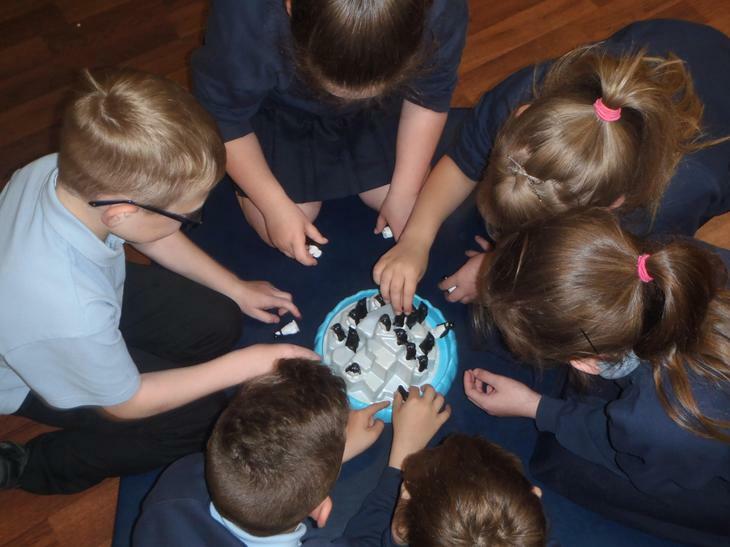 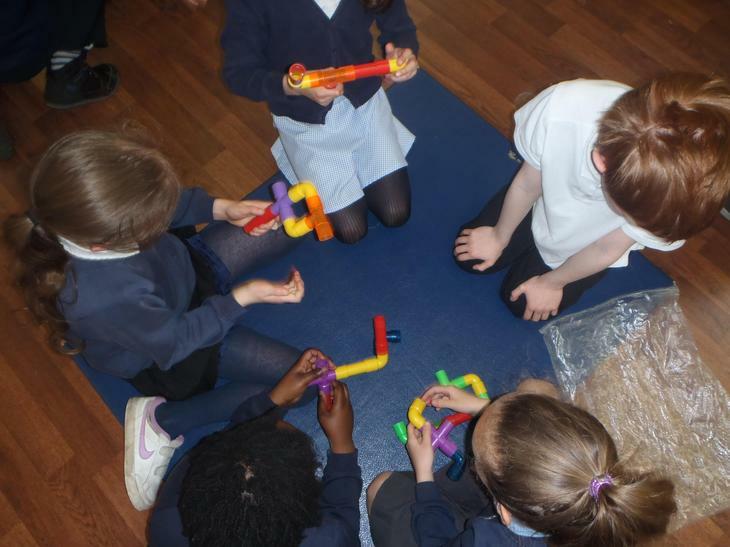 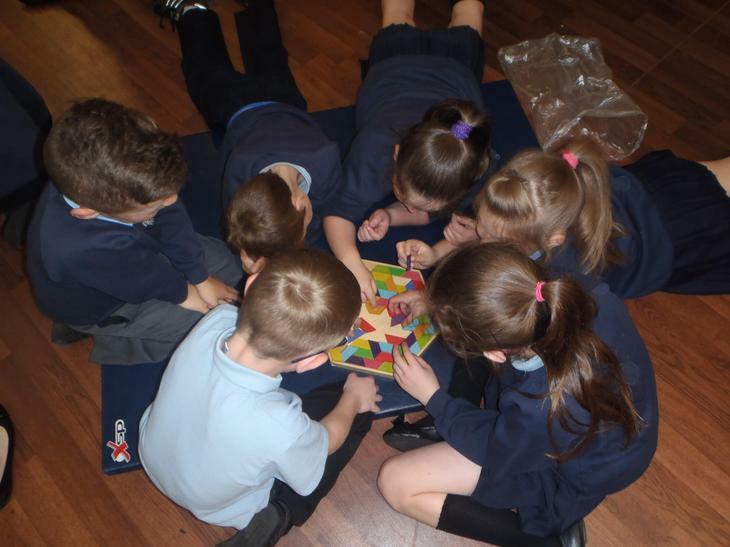 On Thursday 21st May The Happy Puzzle Company visited us in school. 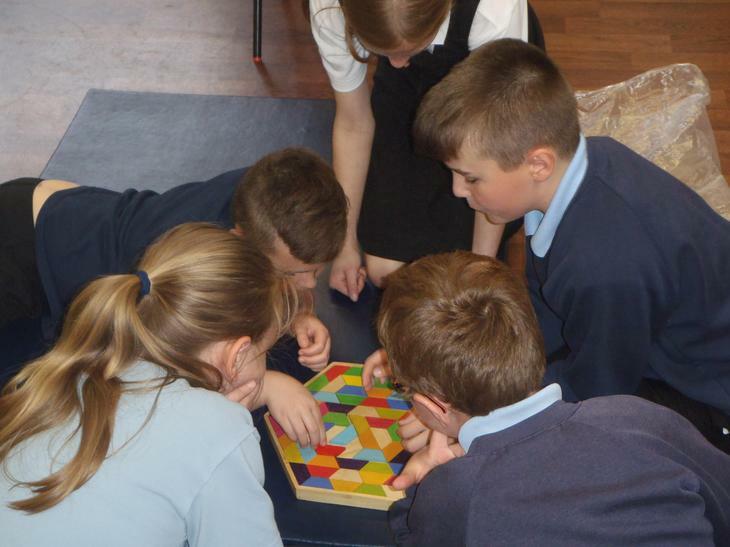 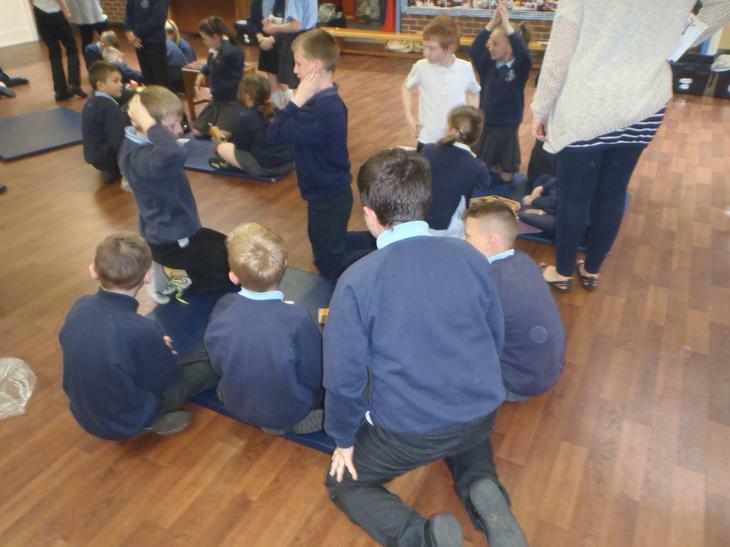 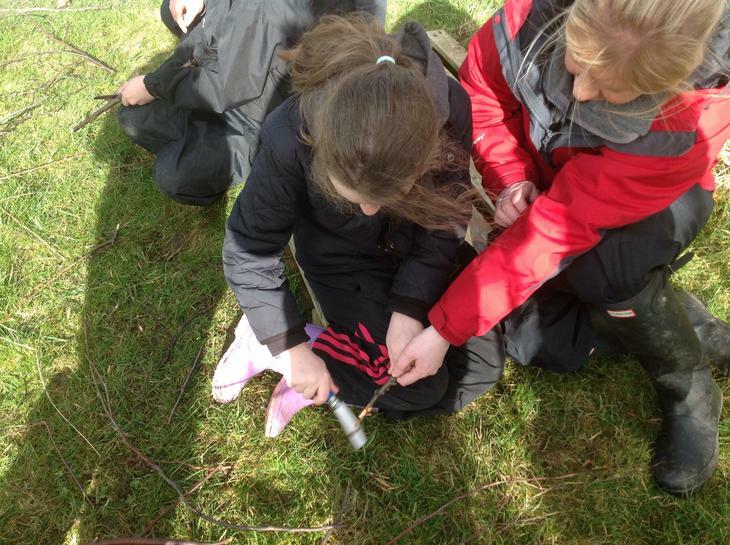 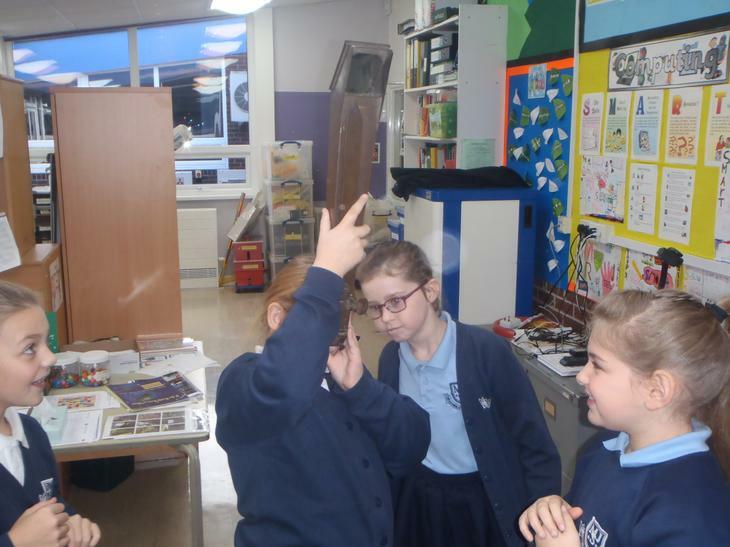 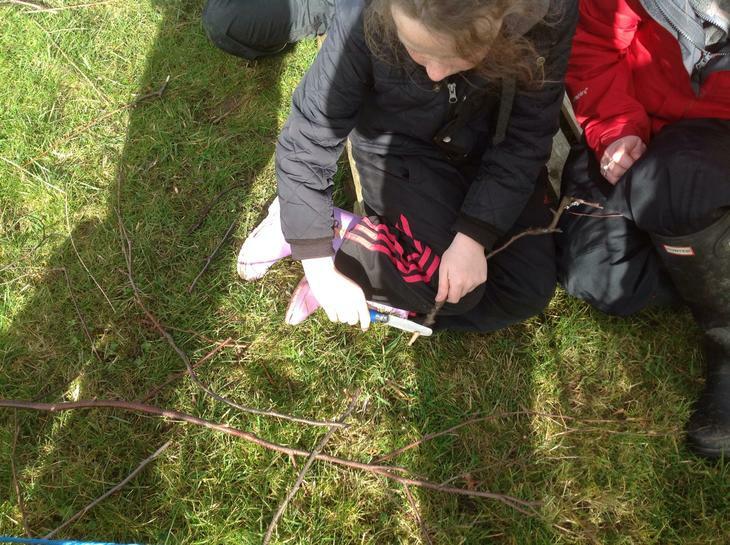 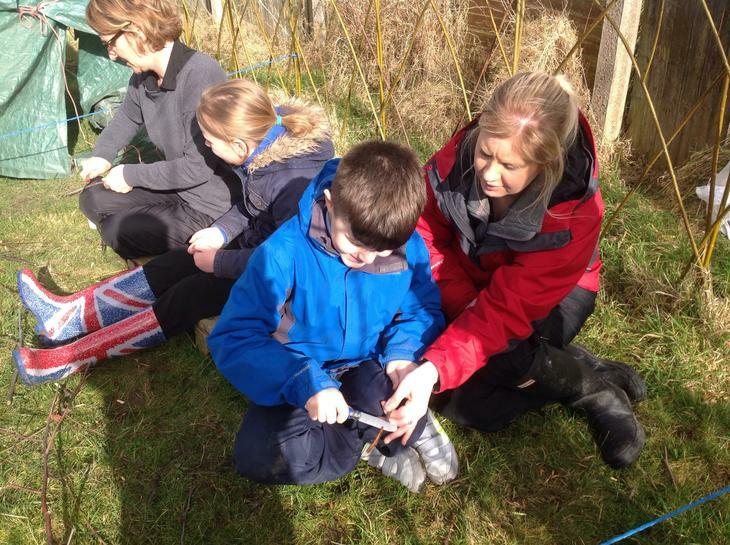 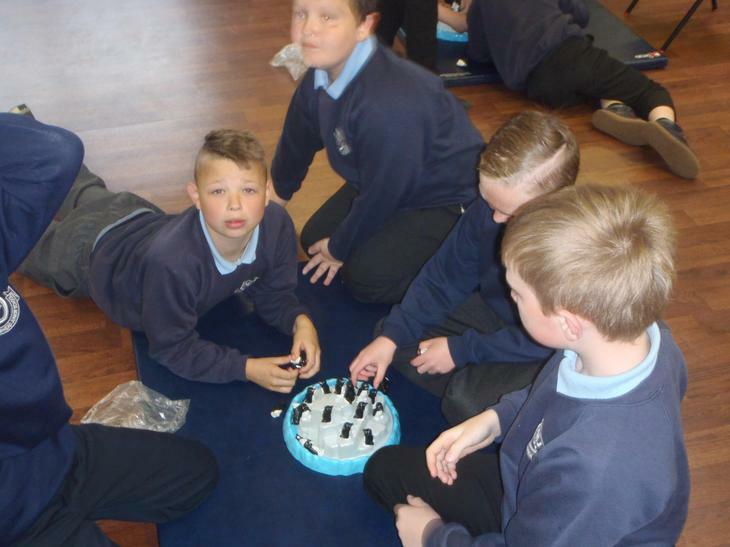 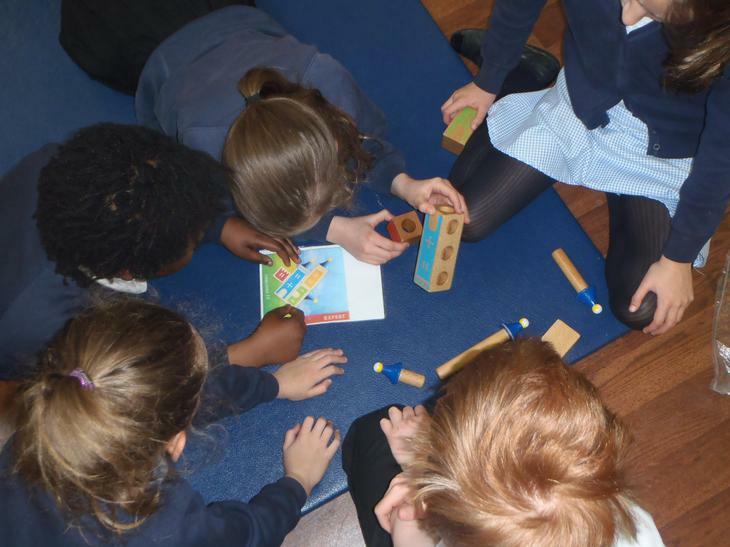 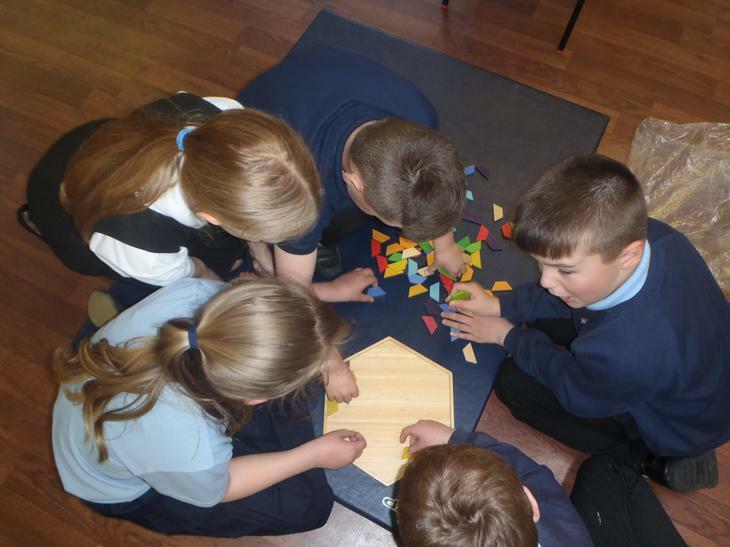 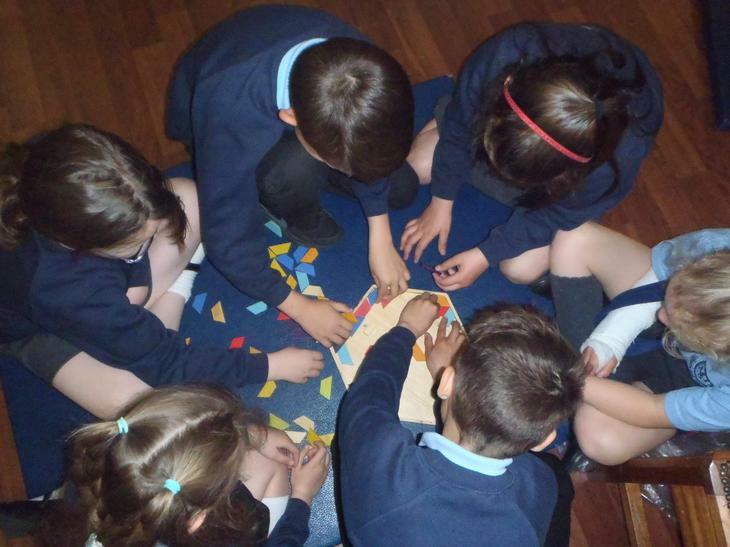 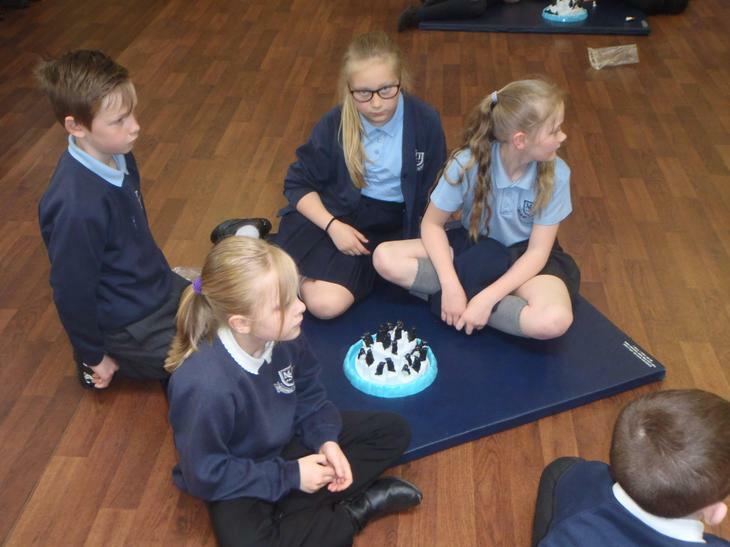 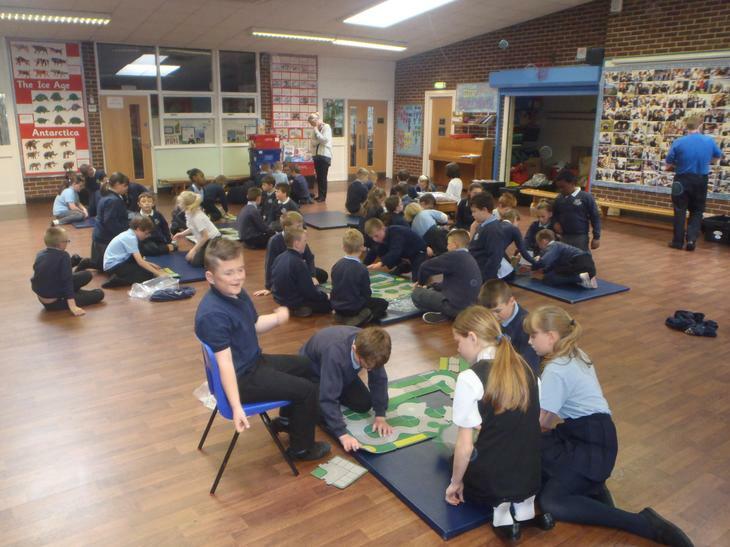 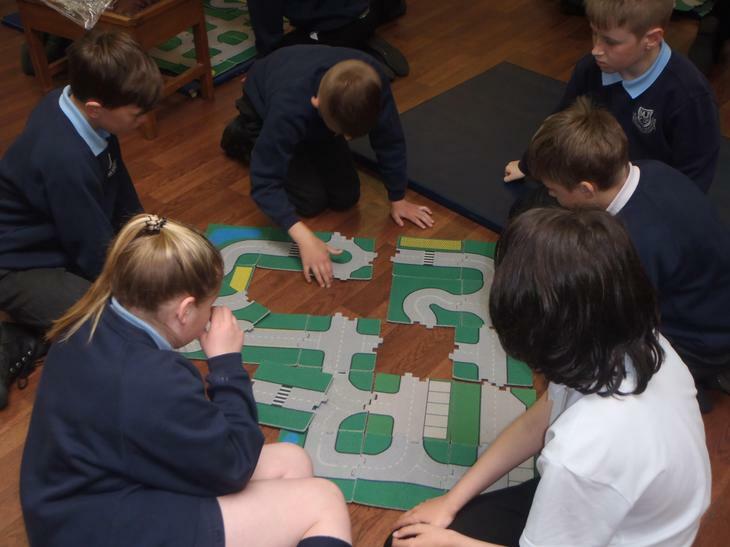 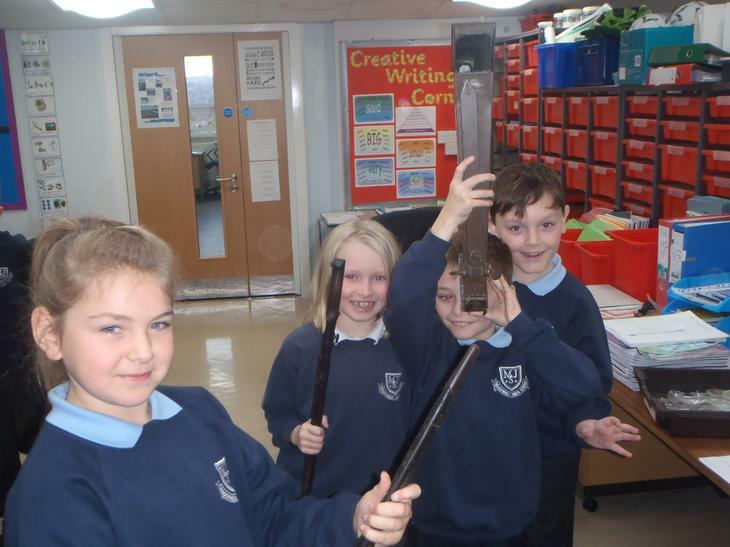 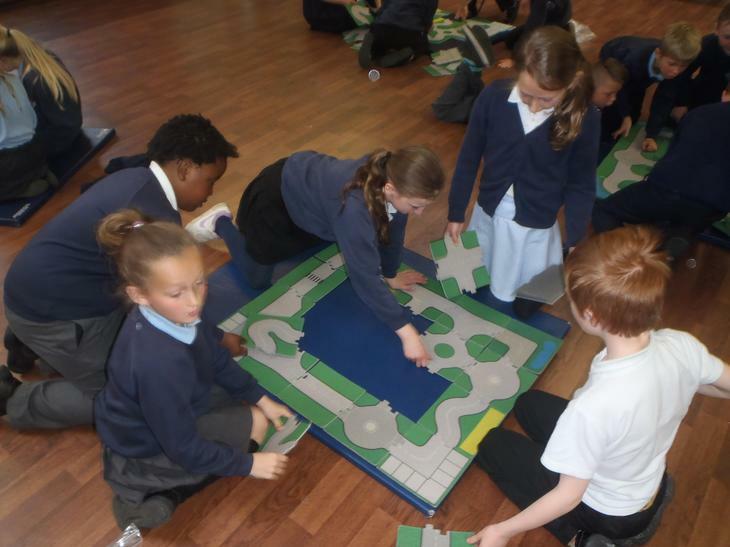 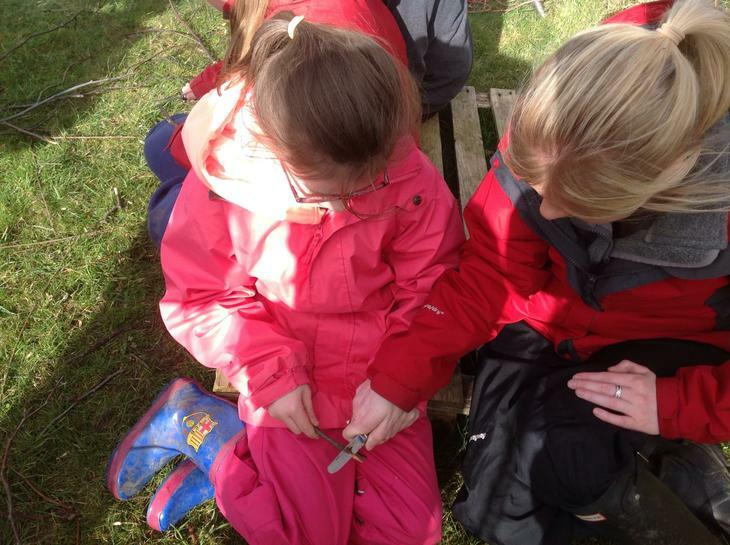 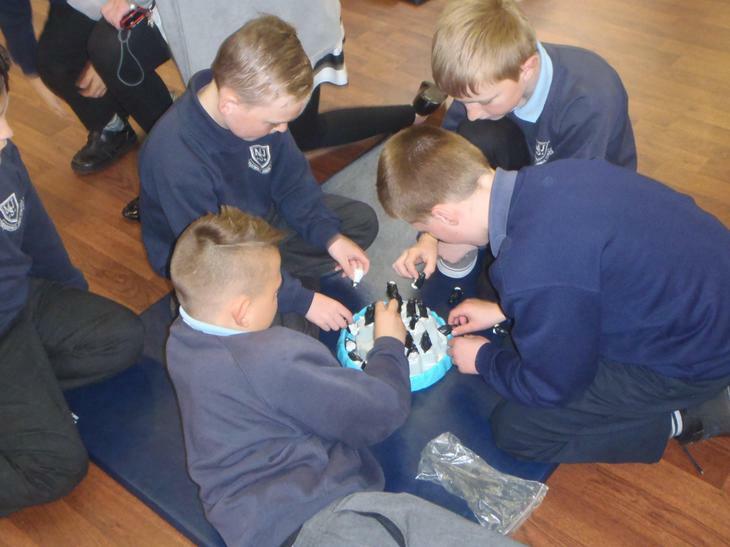 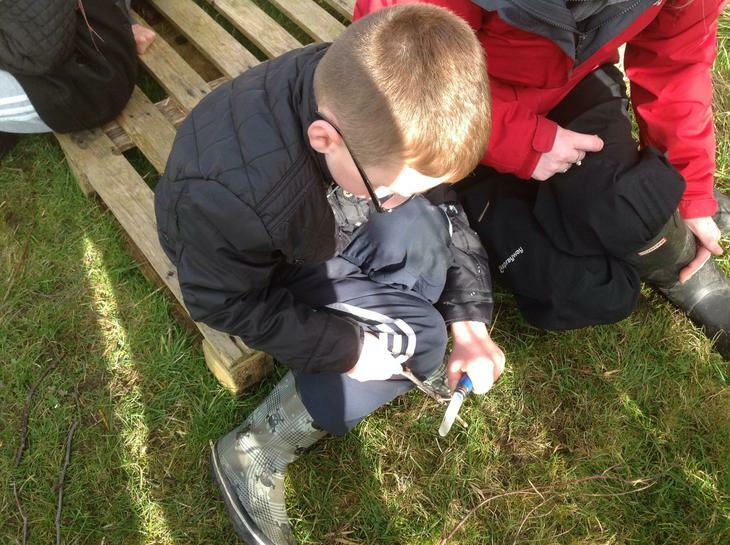 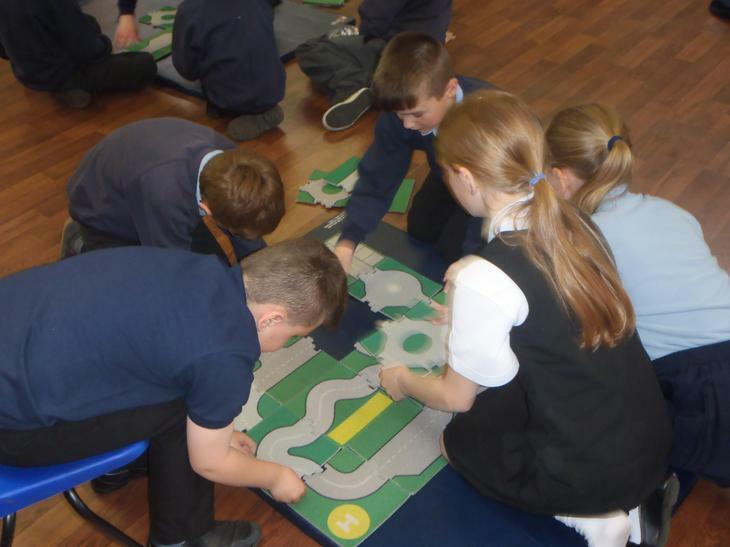 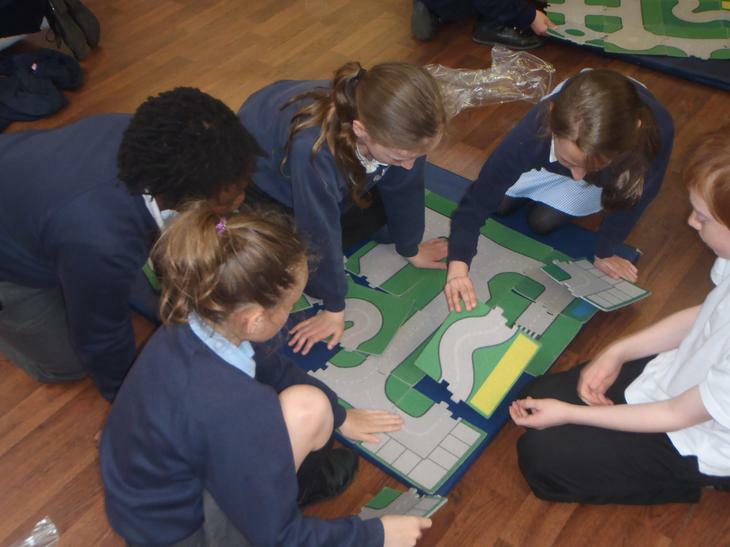 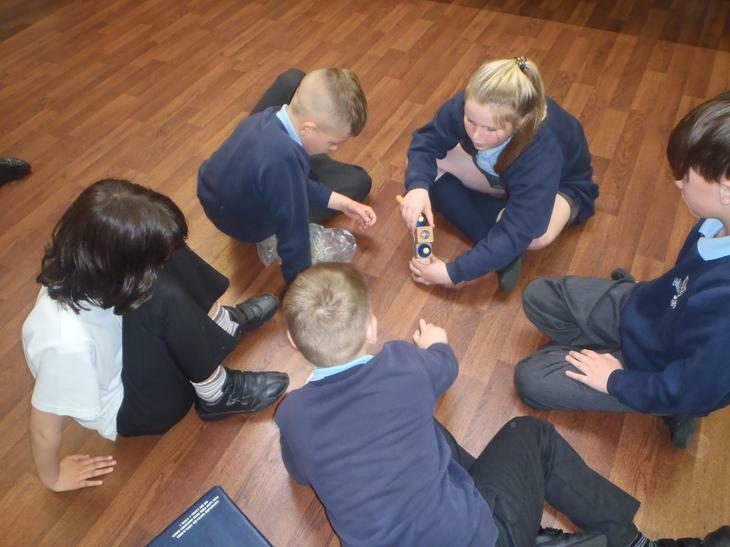 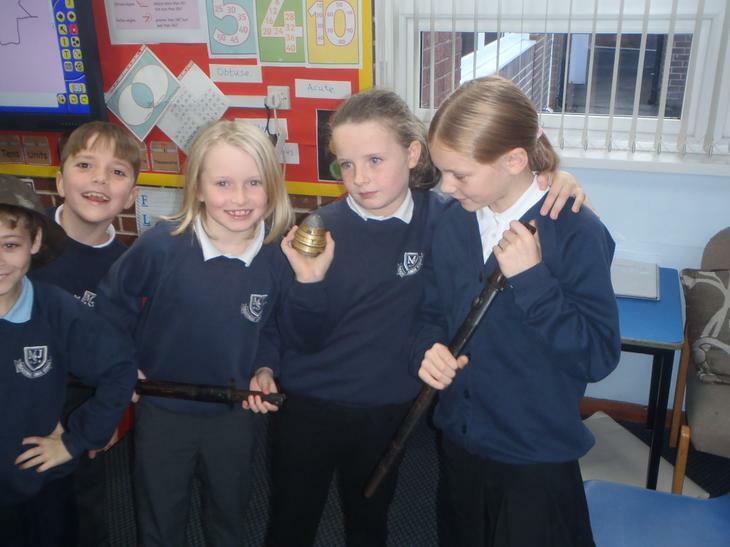 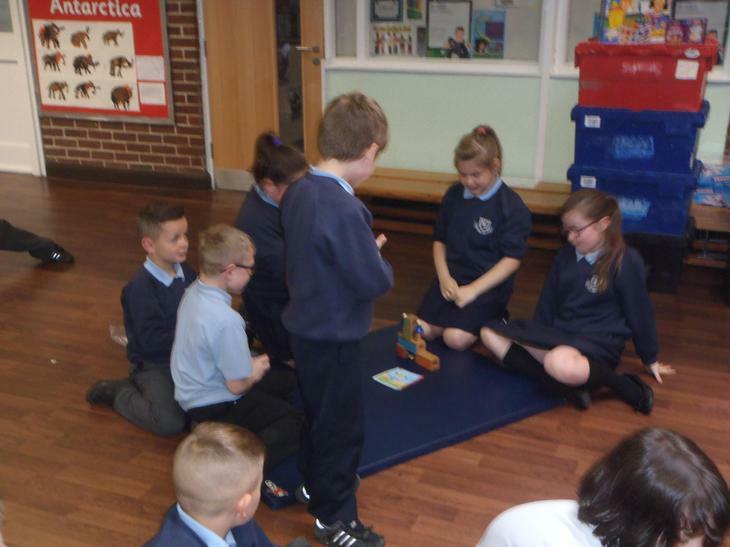 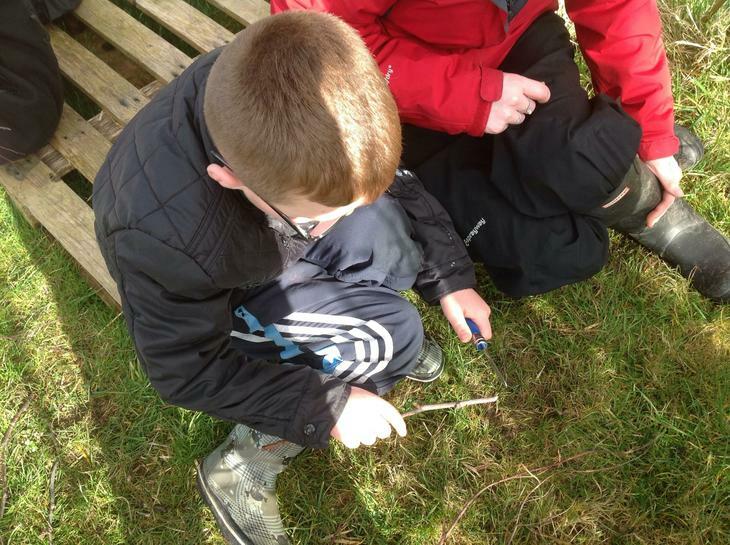 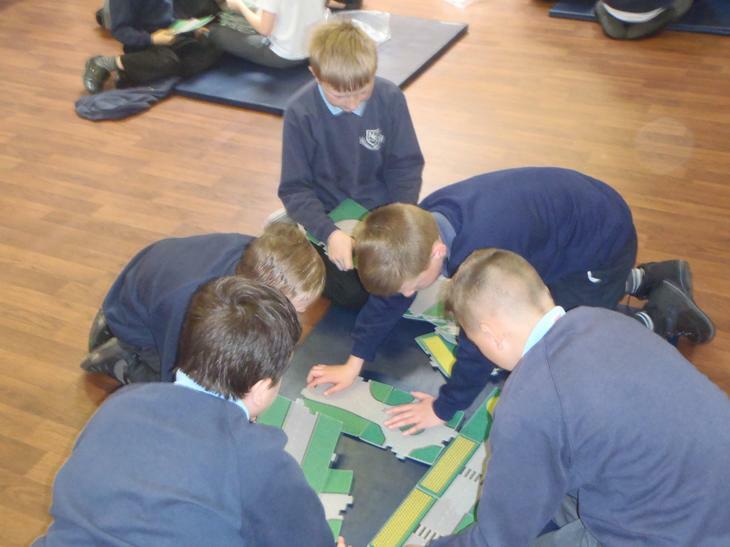 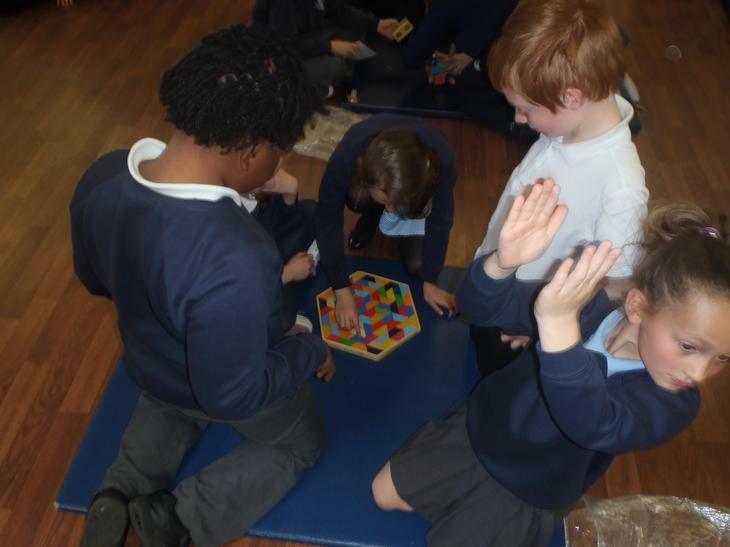 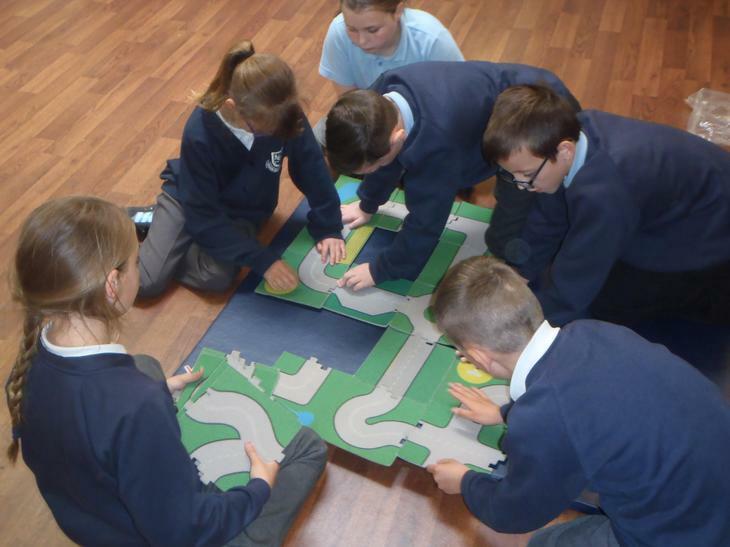 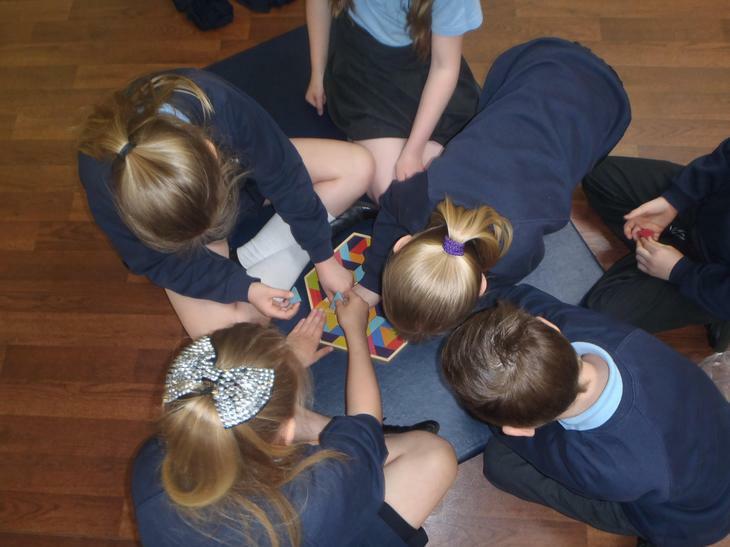 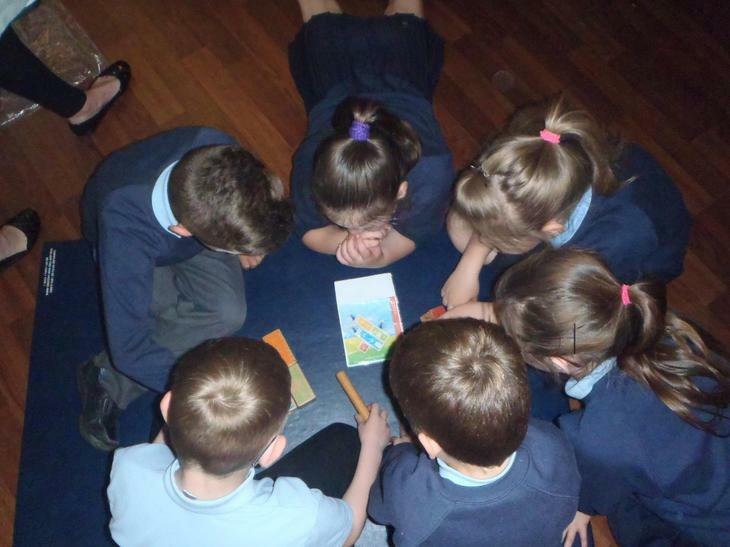 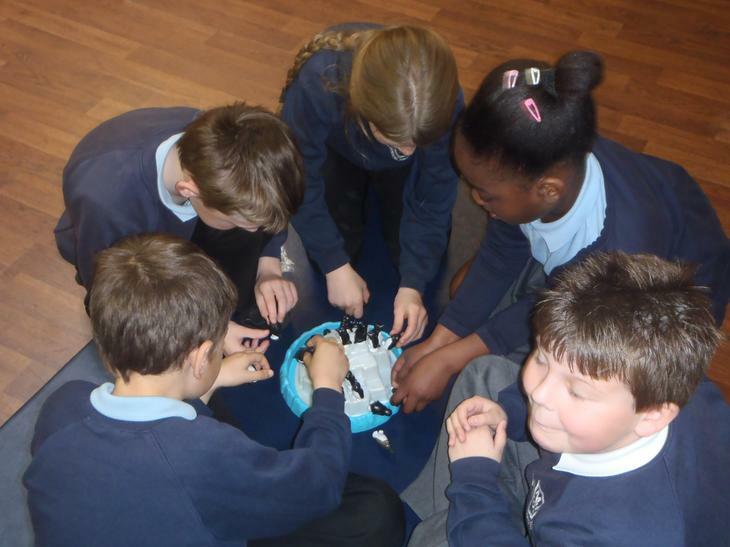 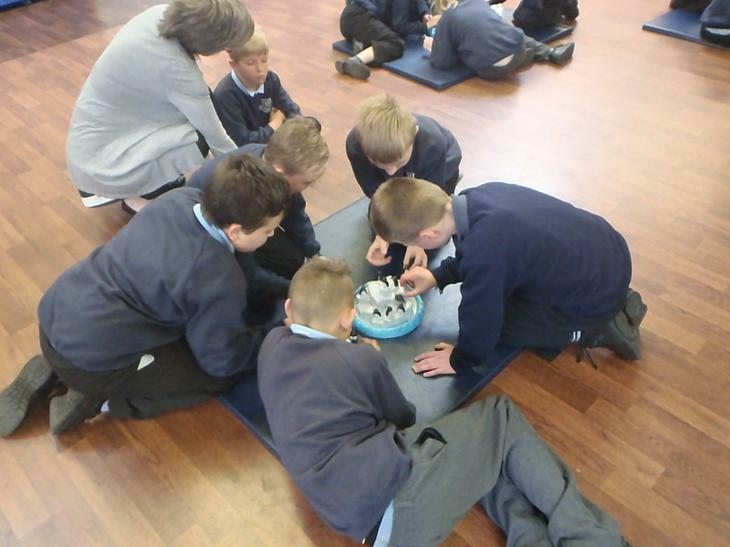 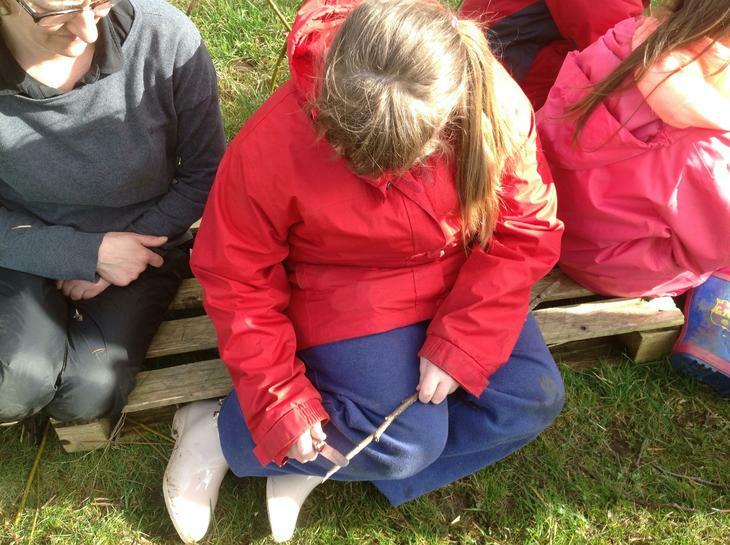 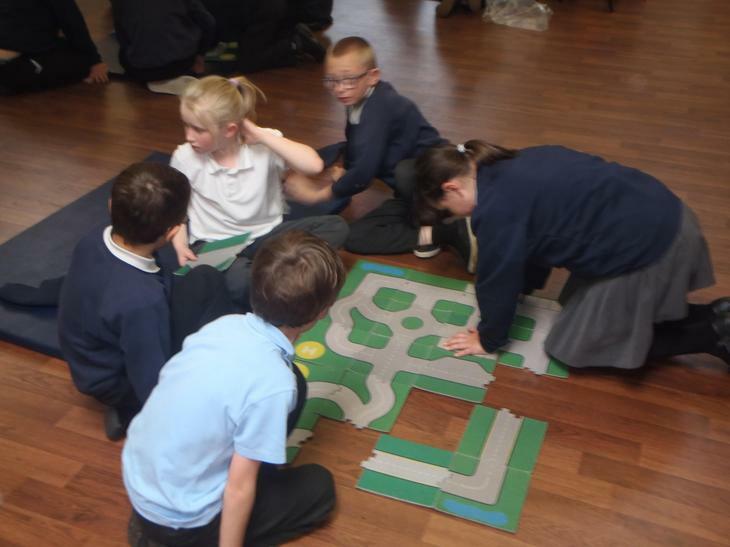 The Year 5 children had a great time, working in teams, to solve a variety of thought provoking puzzles. 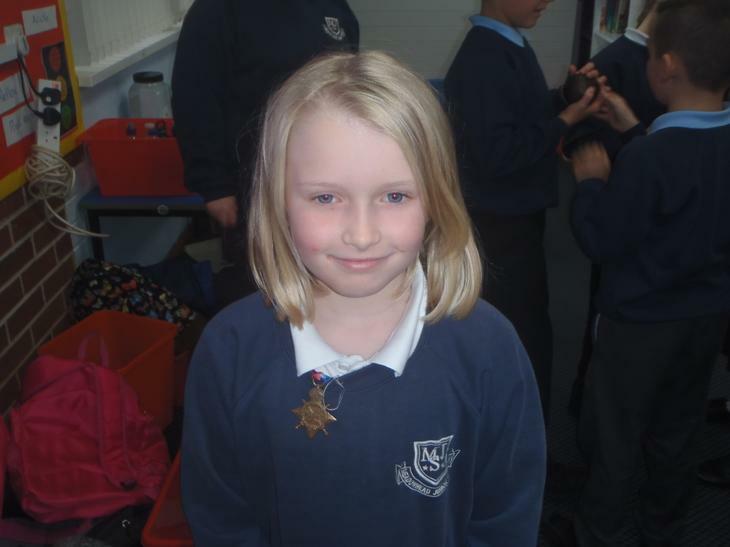 Check out our stories about the Magik Circus - read and listen to them, they're grrrrrrrrrrrrrreat! 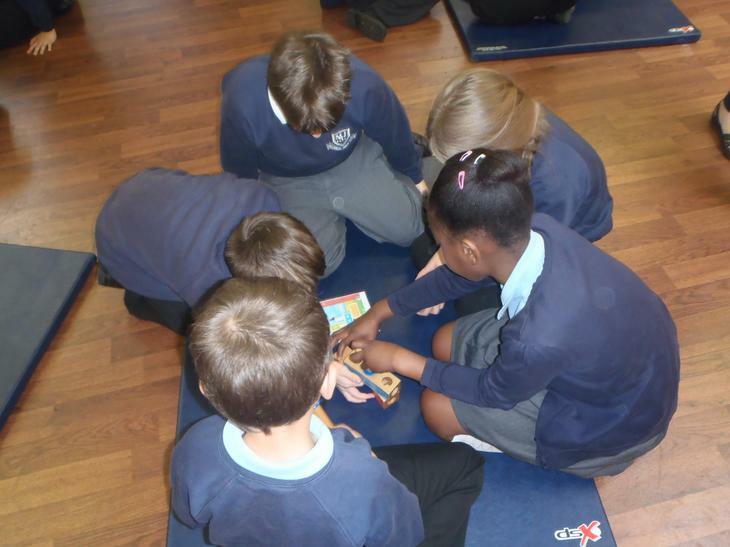 Studyladder Do you like earning cyber points and rewards? 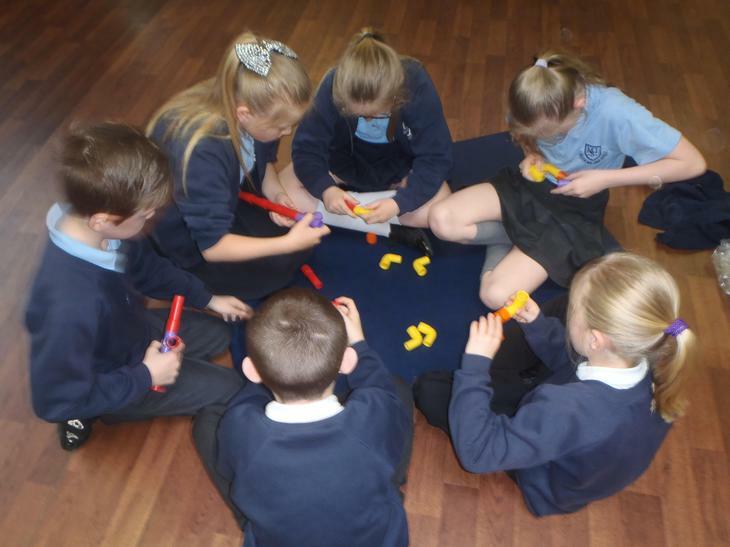 Do you want to improve your Maths skills and have lots of fun? 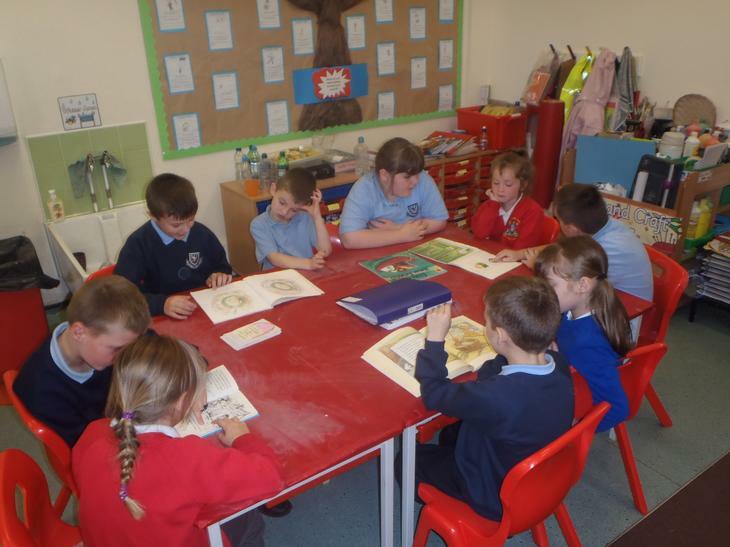 Then click here to access Studyladder (password and login required). 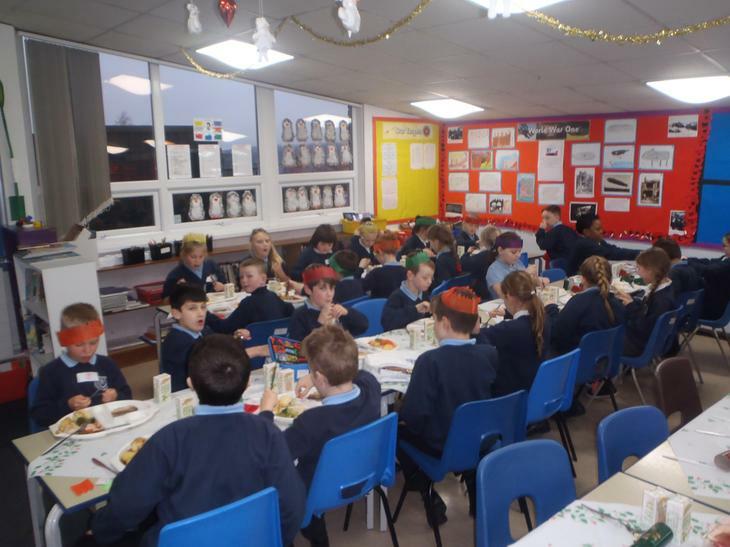 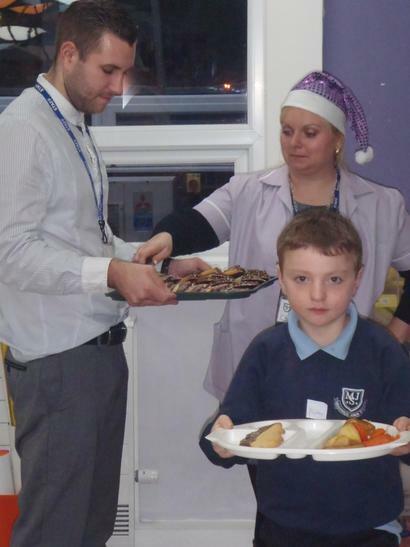 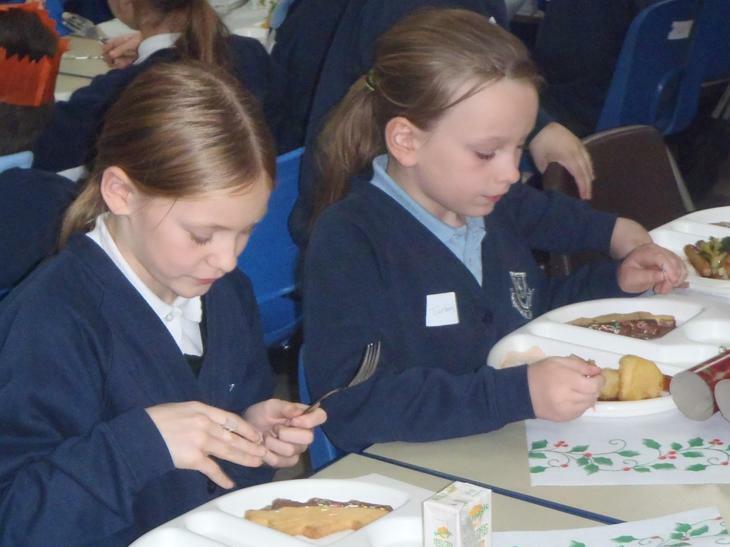 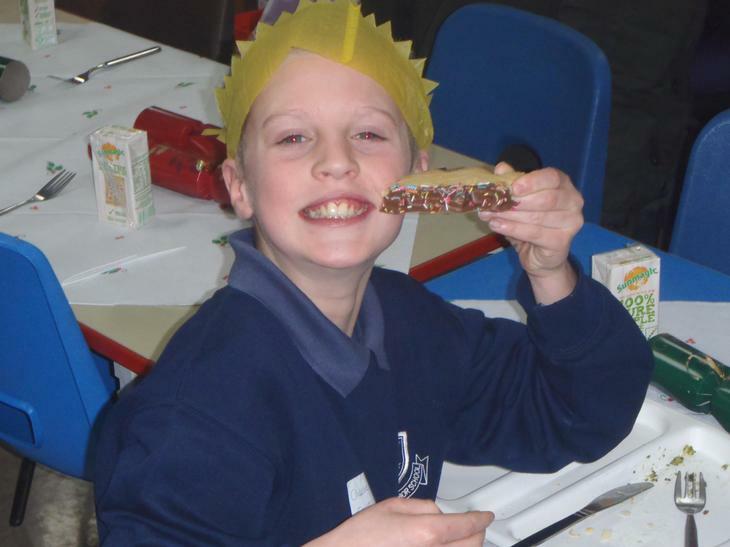 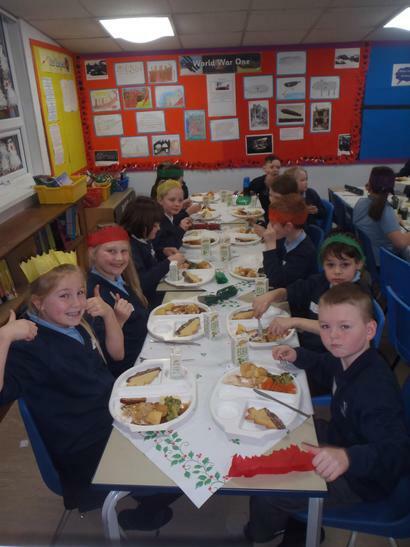 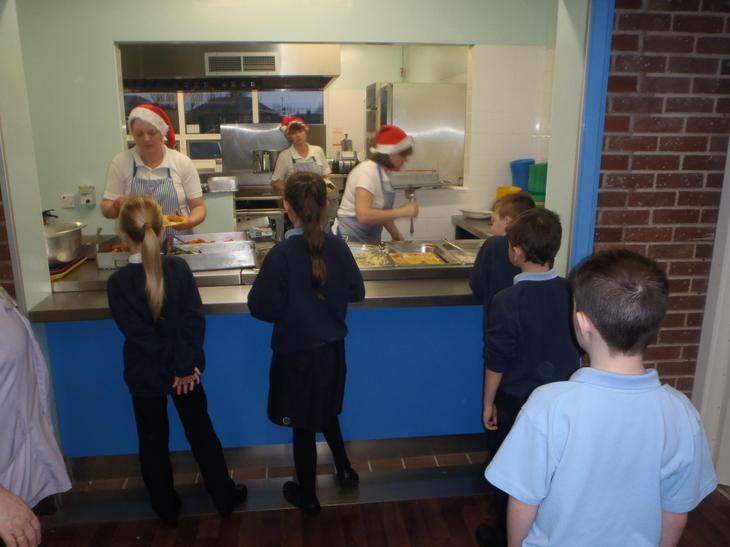 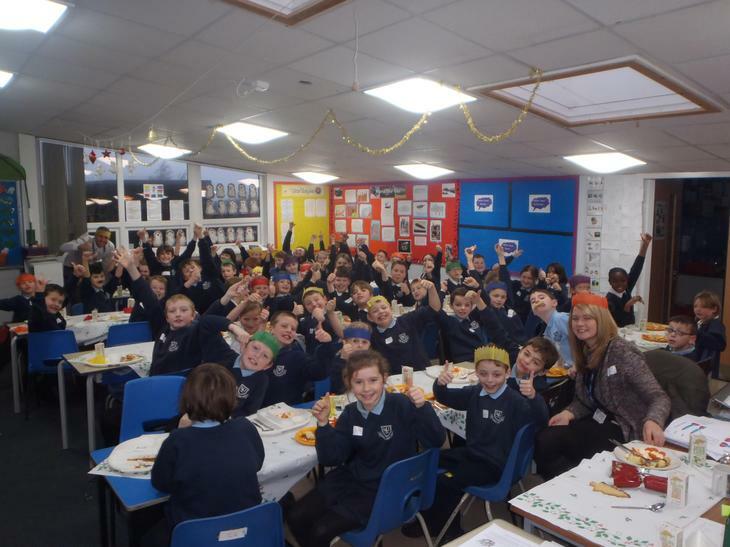 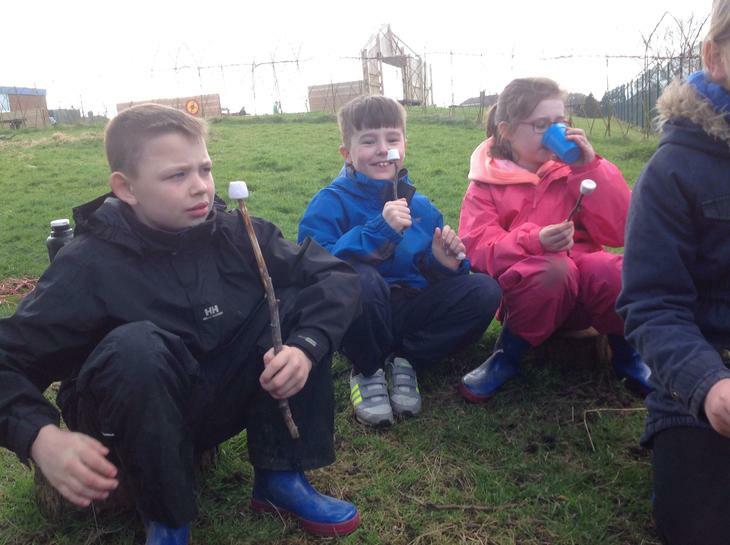 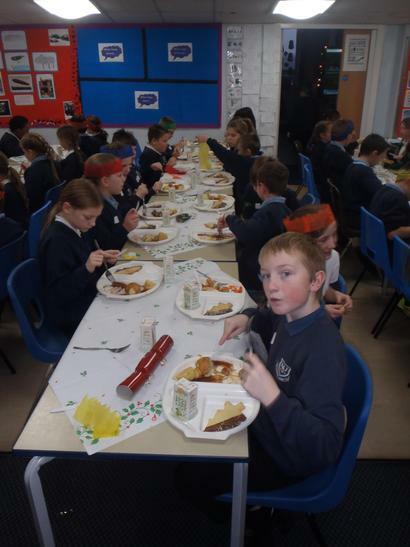 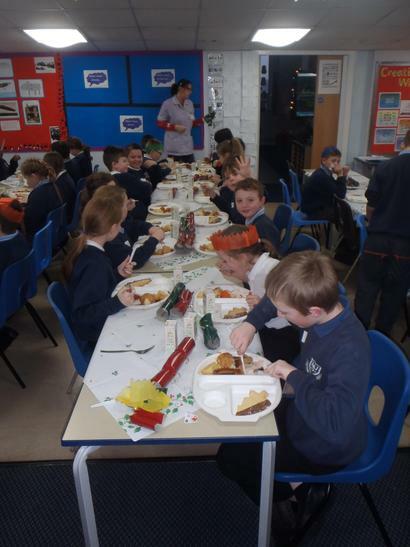 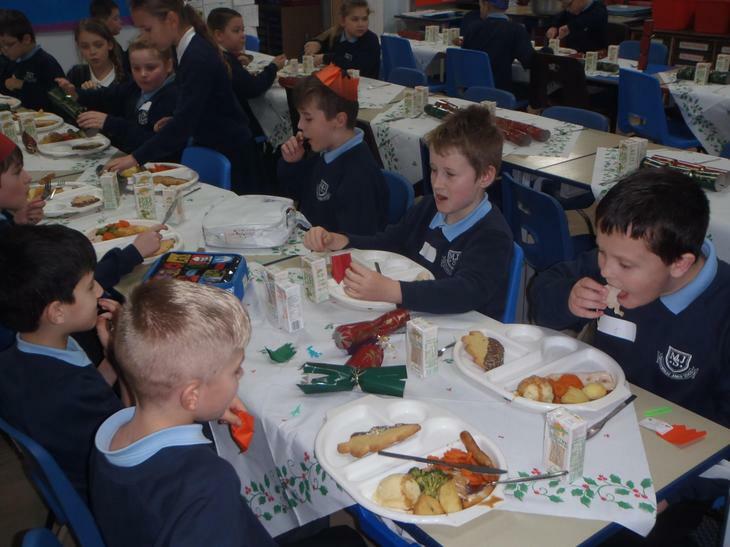 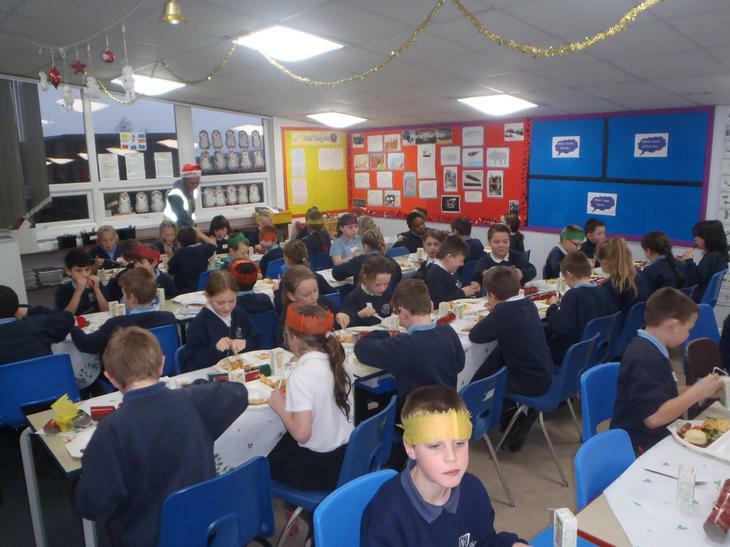 Wednesday 17th December 2014 - Year 5 enjoy their Christmas Lunch...ummmmmmm, scrummmmmmmmmy! 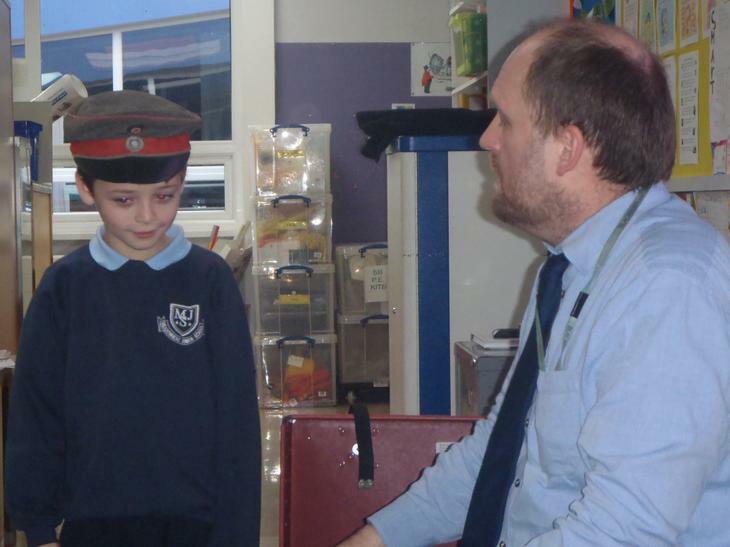 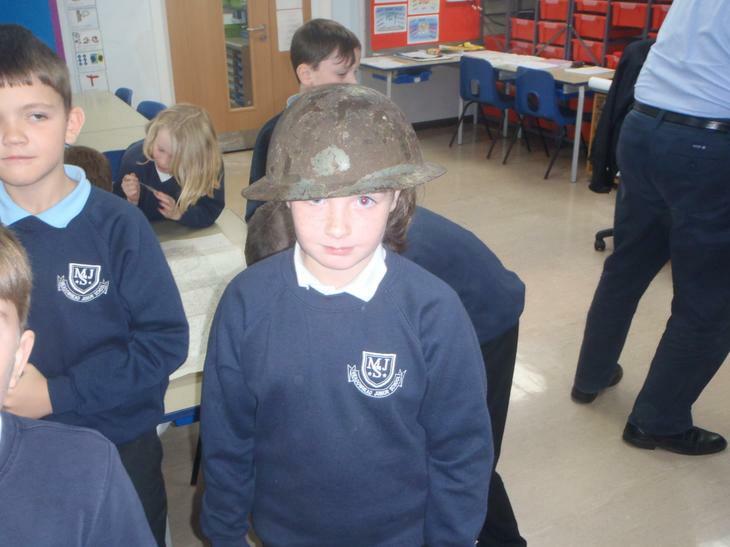 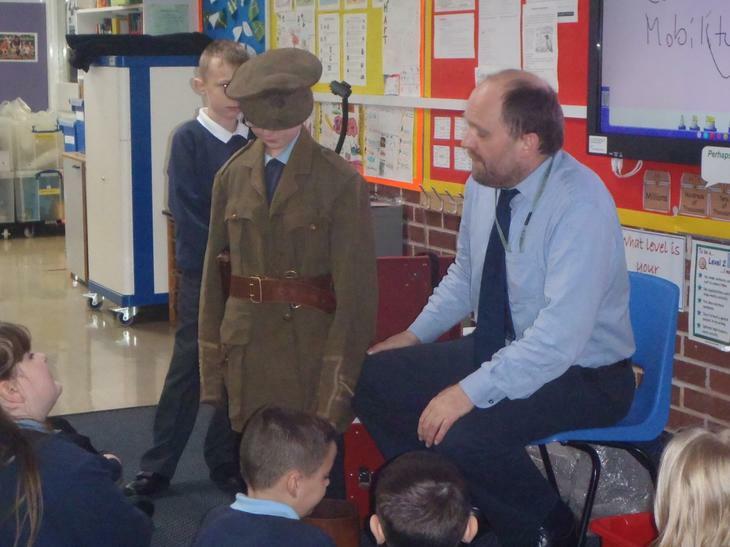 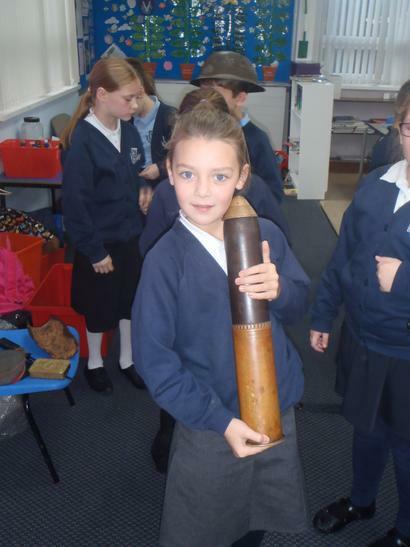 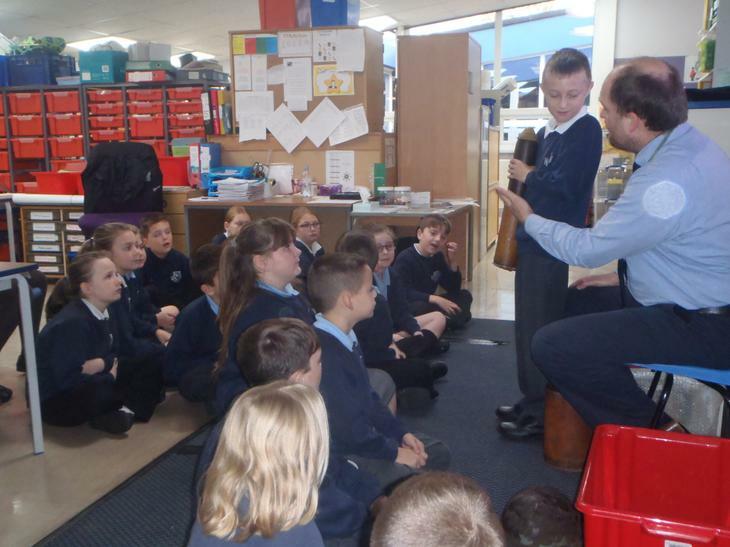 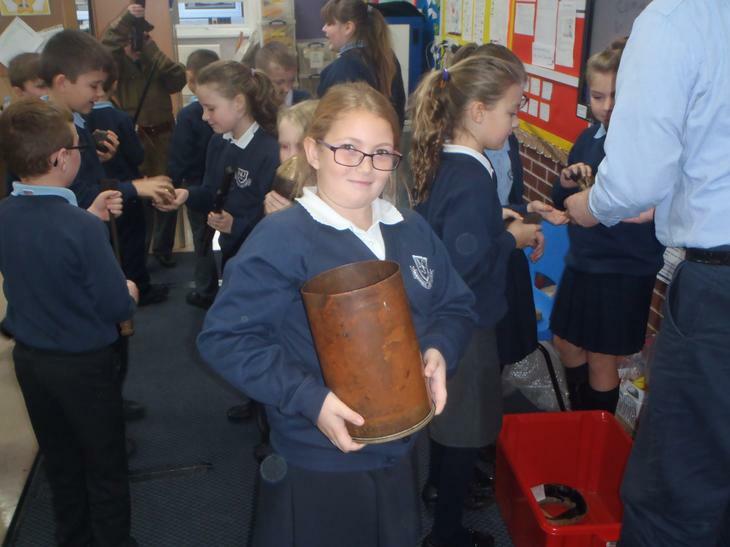 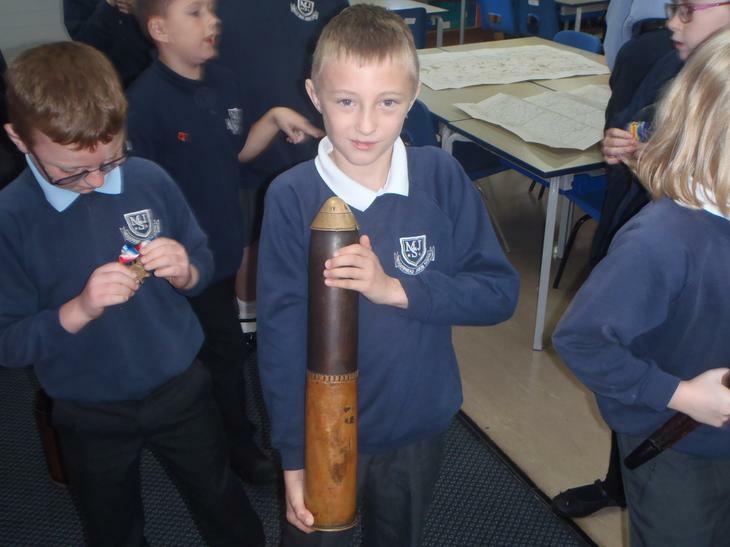 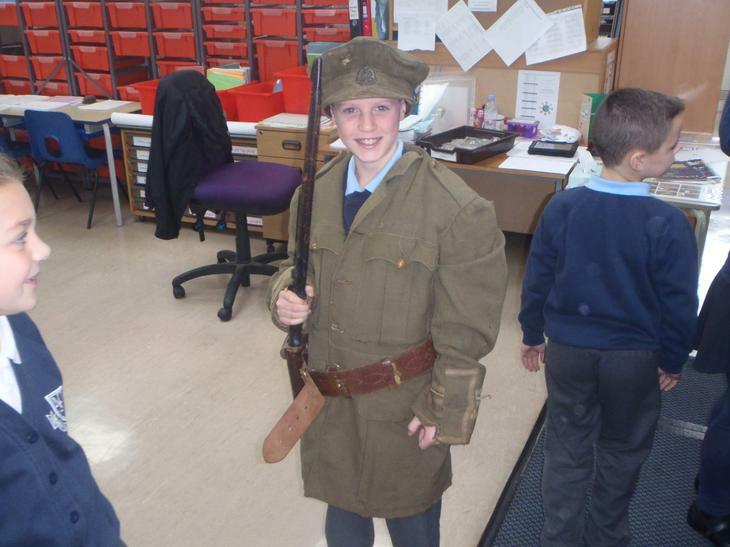 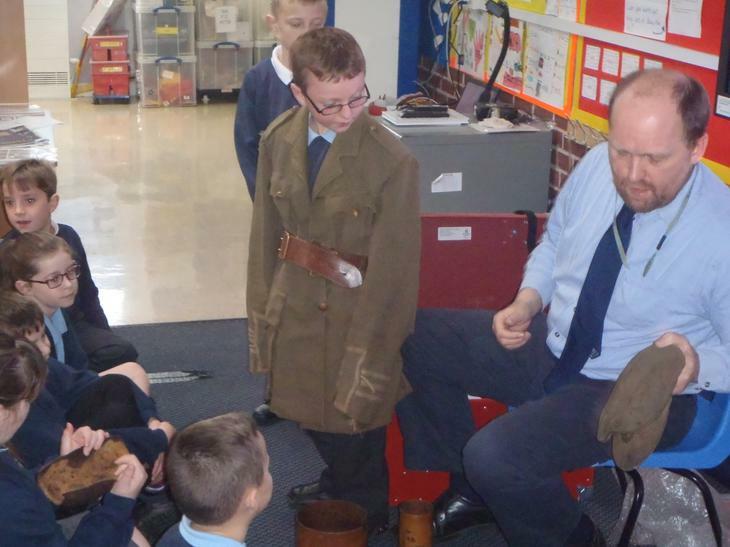 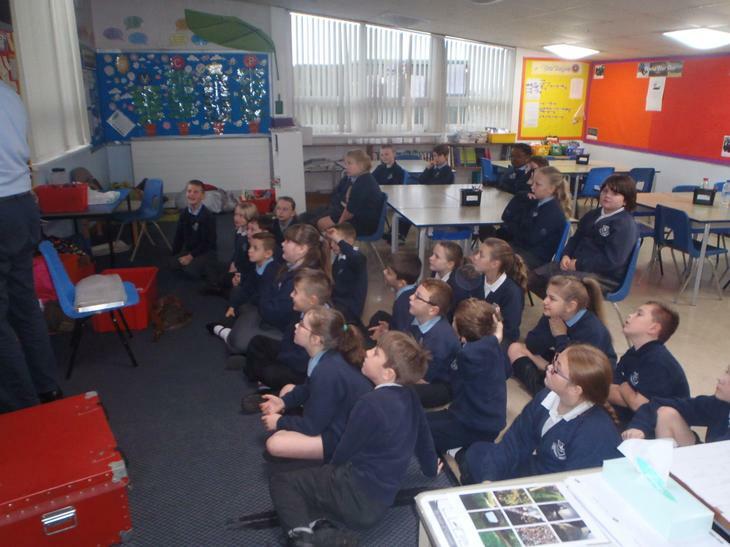 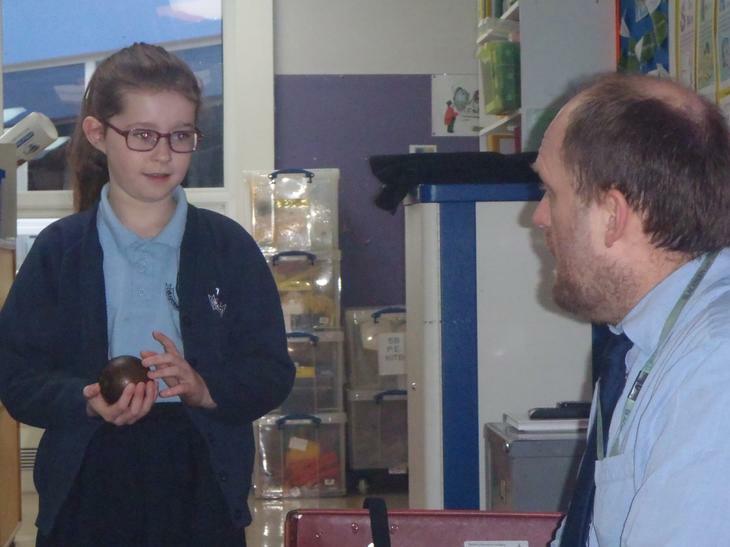 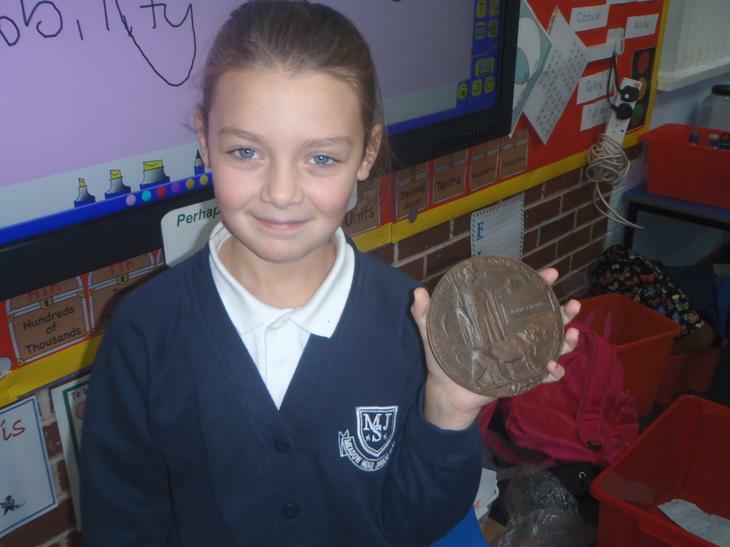 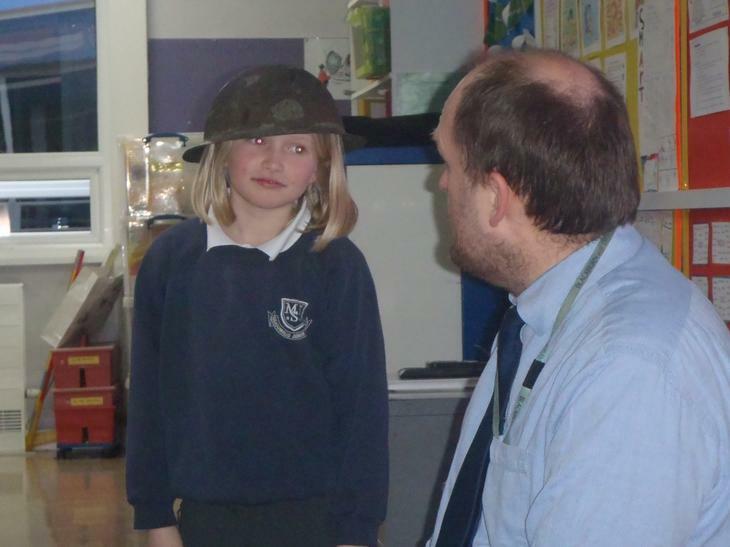 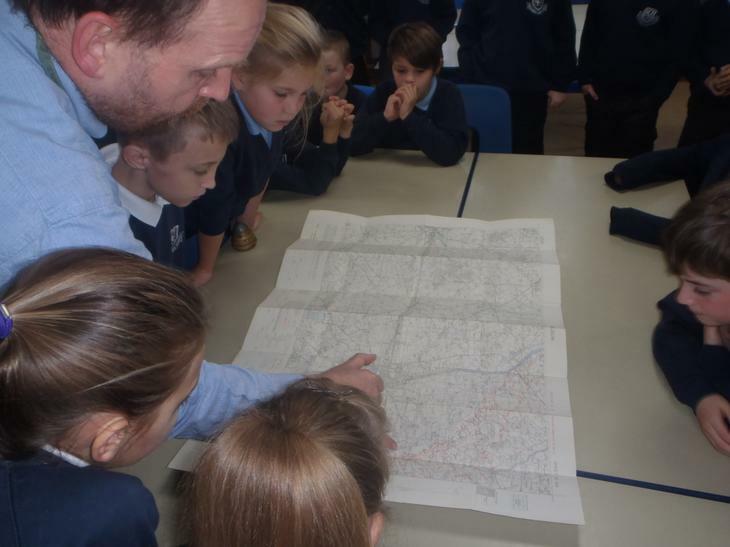 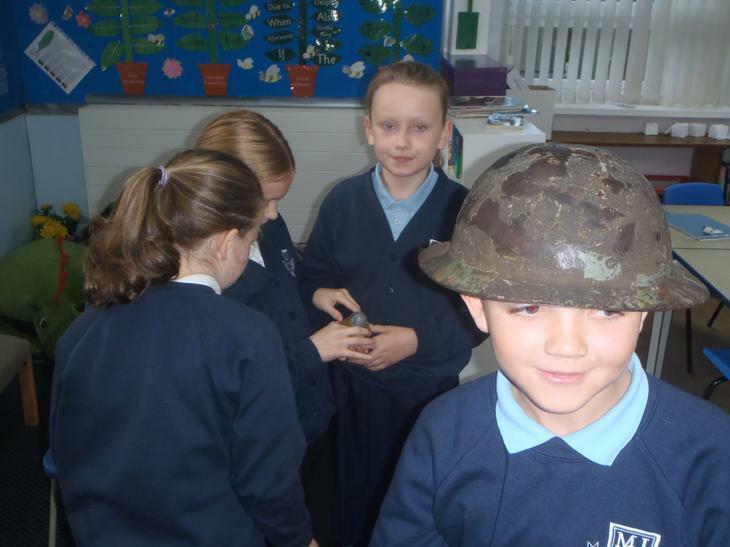 On Tuesday 4th November Mr Irwin, from Blackburn Museum, came to talk to us about World War I. 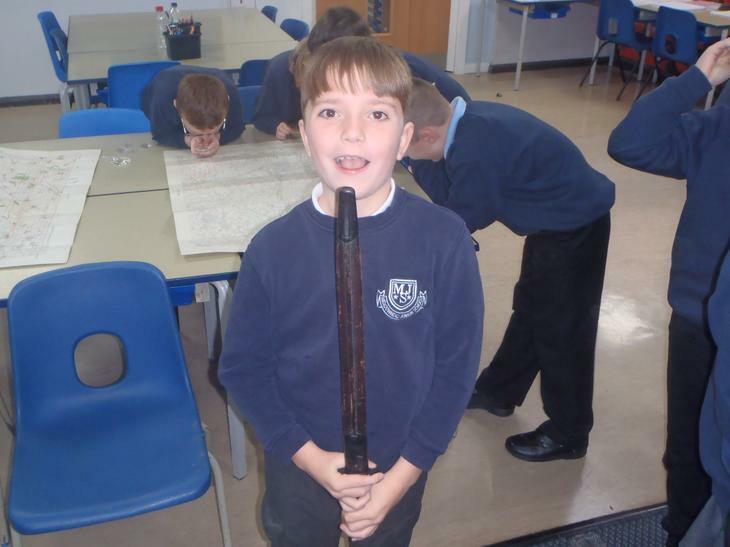 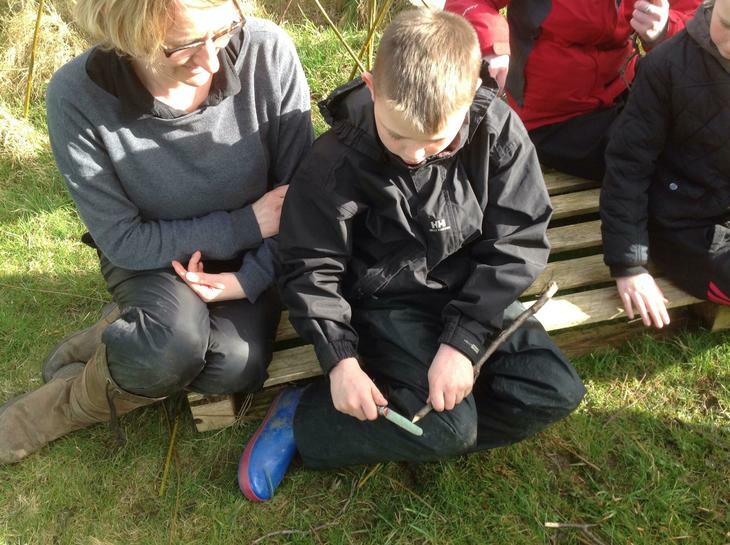 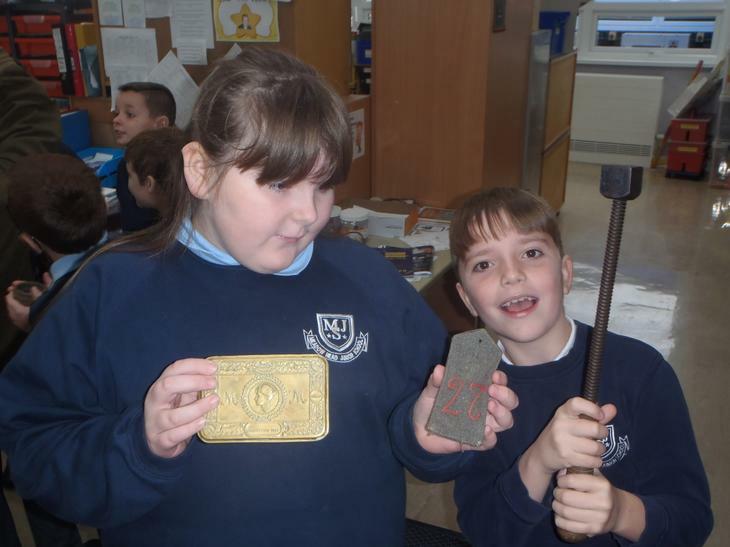 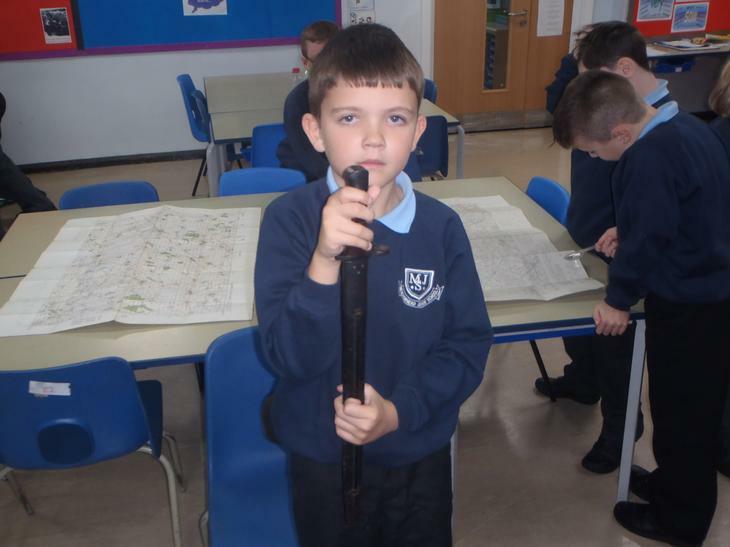 As well as telling us lots of information he also brought lots of objects for us to look at and try on. 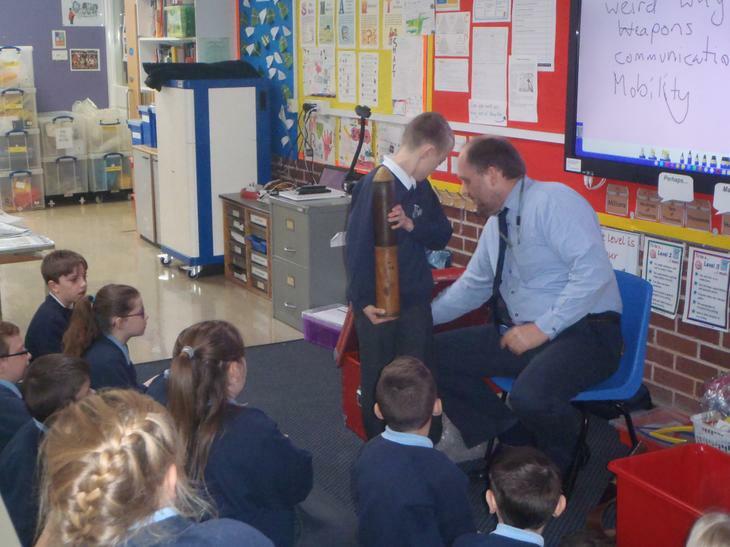 We really enjoyed his visit. 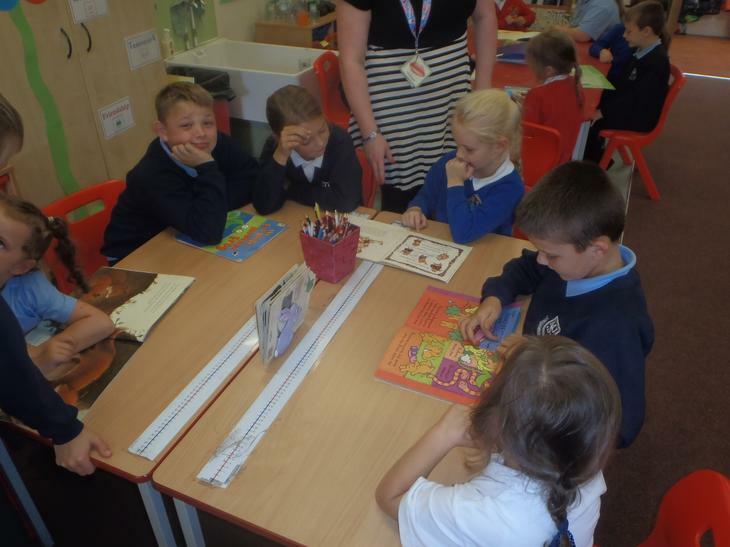 5H SEWA visit. 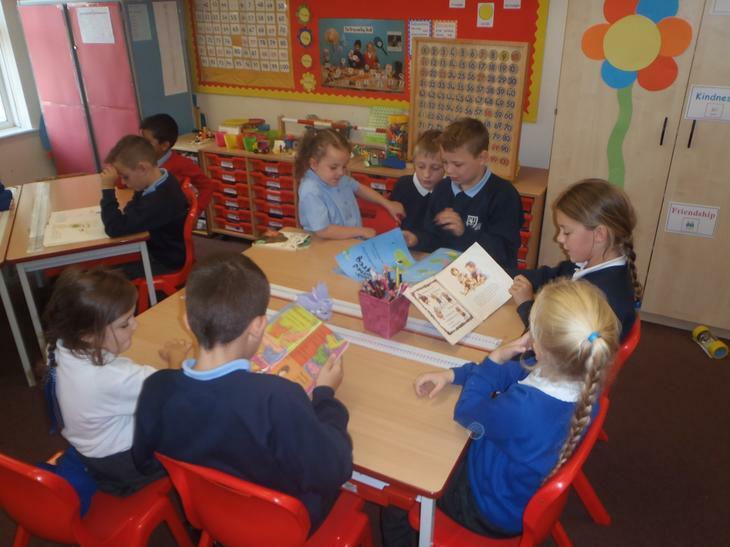 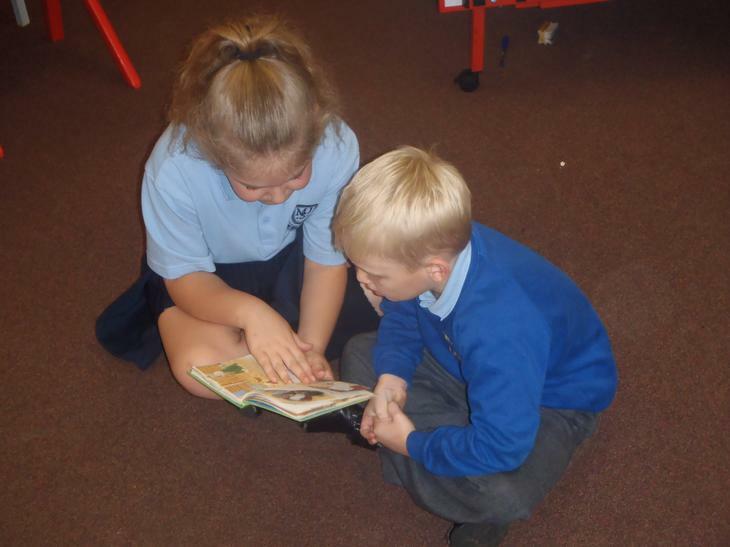 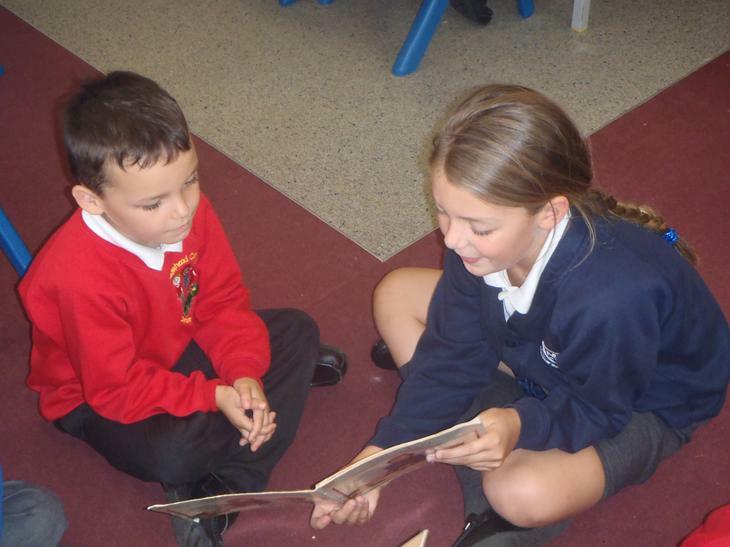 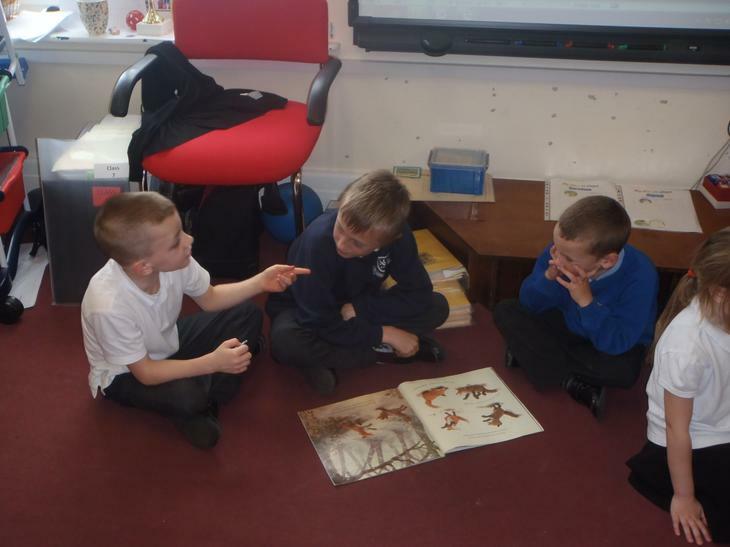 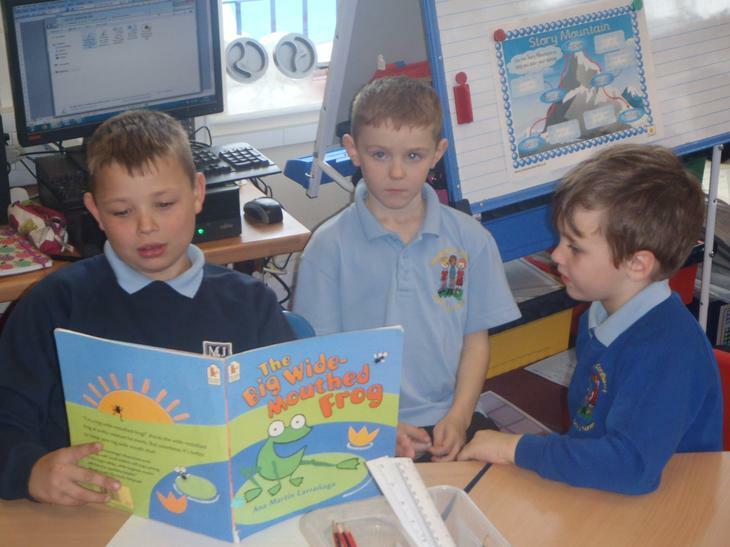 We enjoyed reading stories to the Year 2 children at the Infant School.